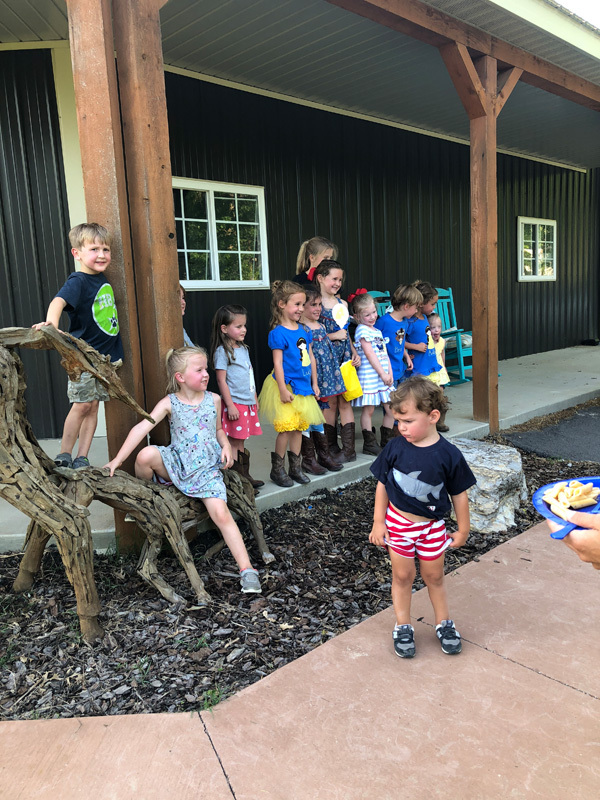 Happy 4th Birthday to Ross Allender! 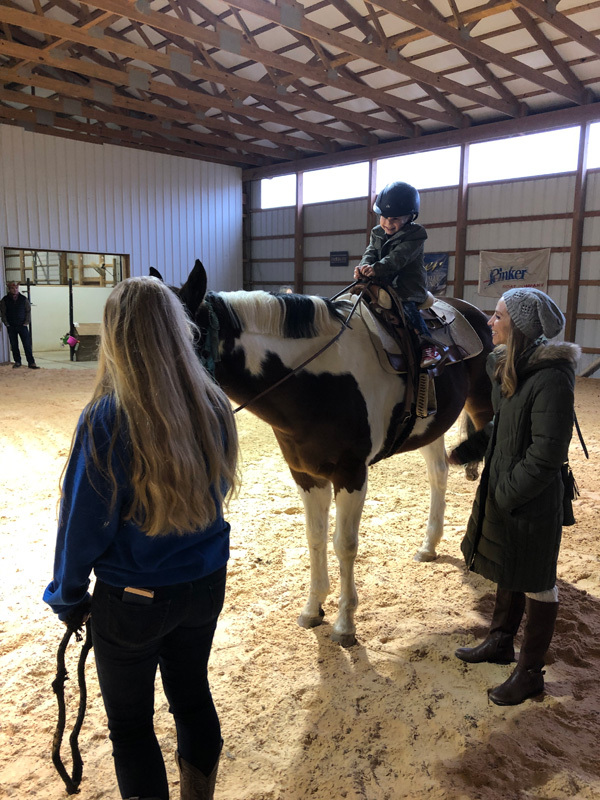 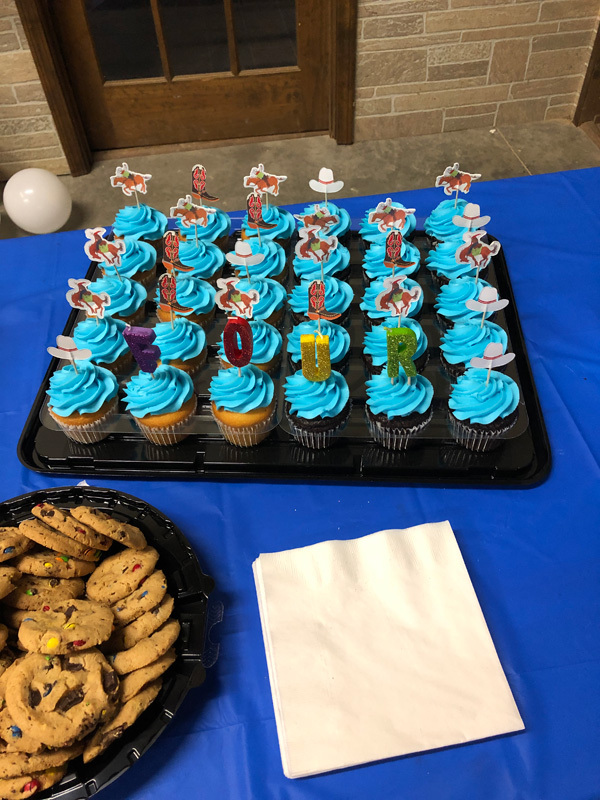 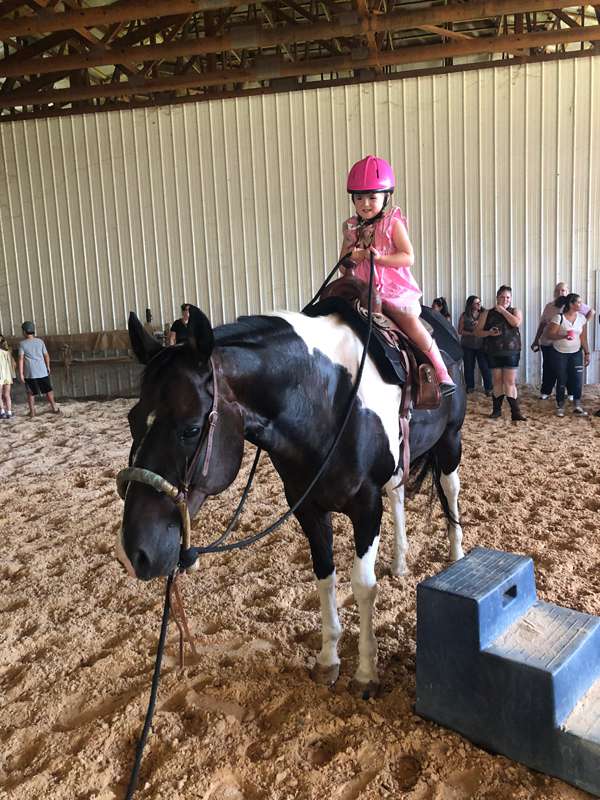 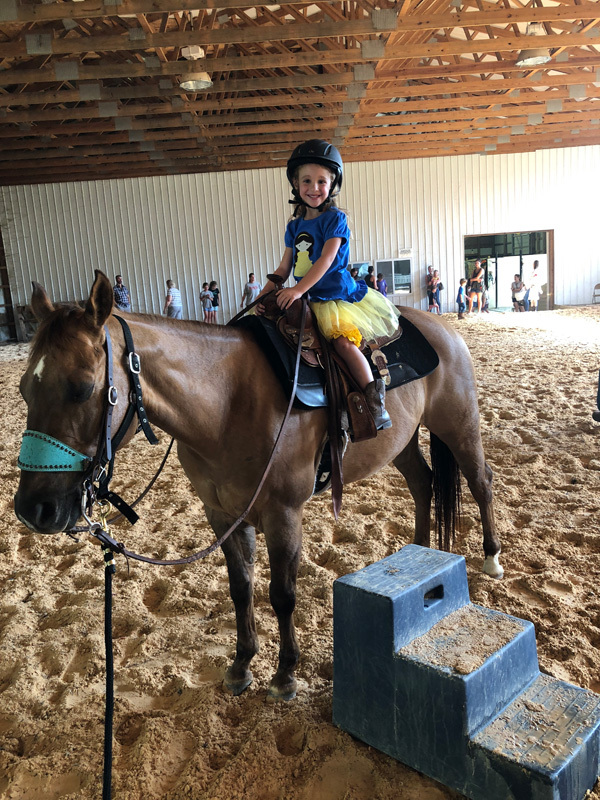 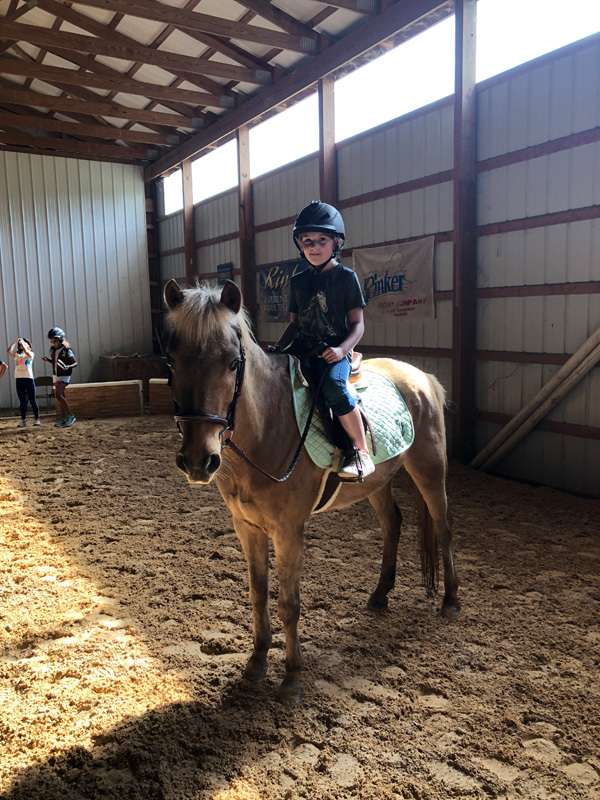 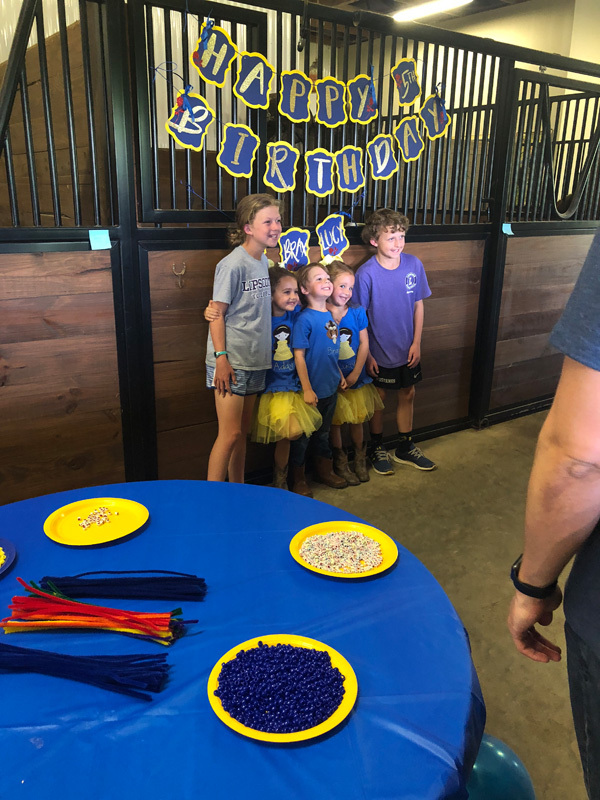 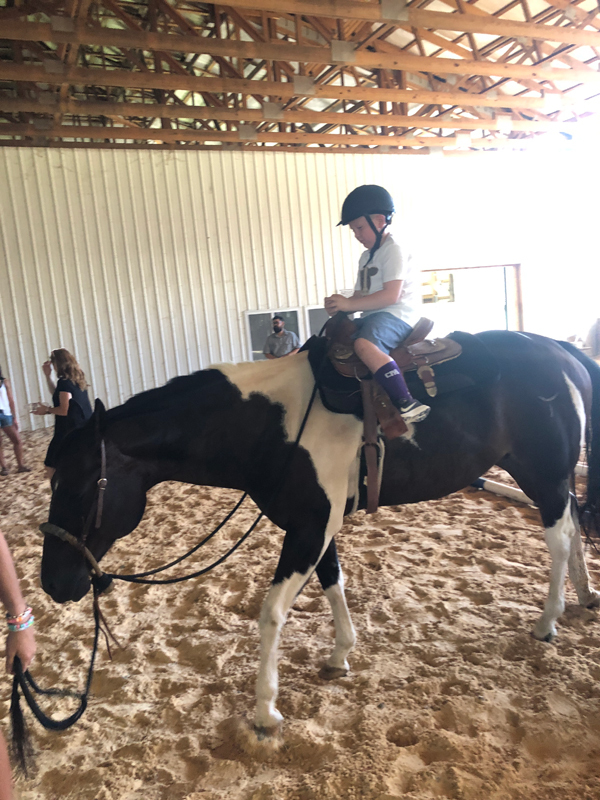 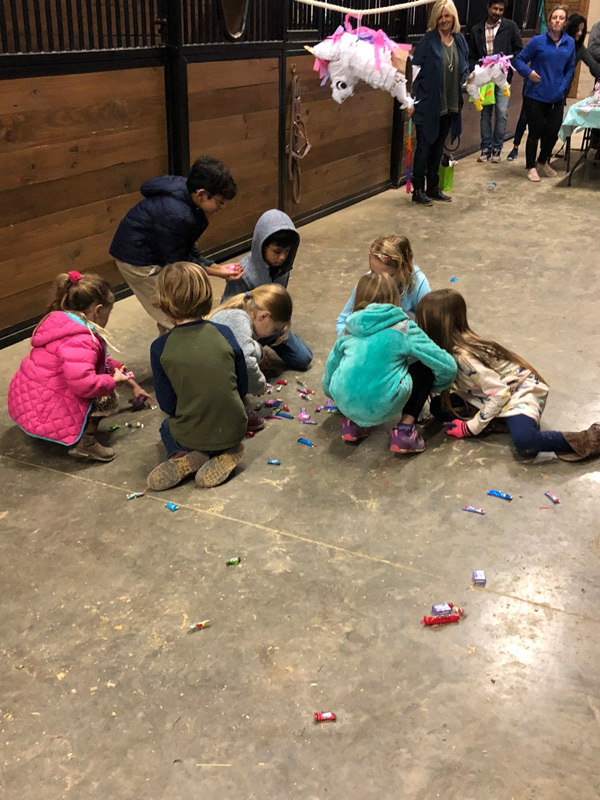 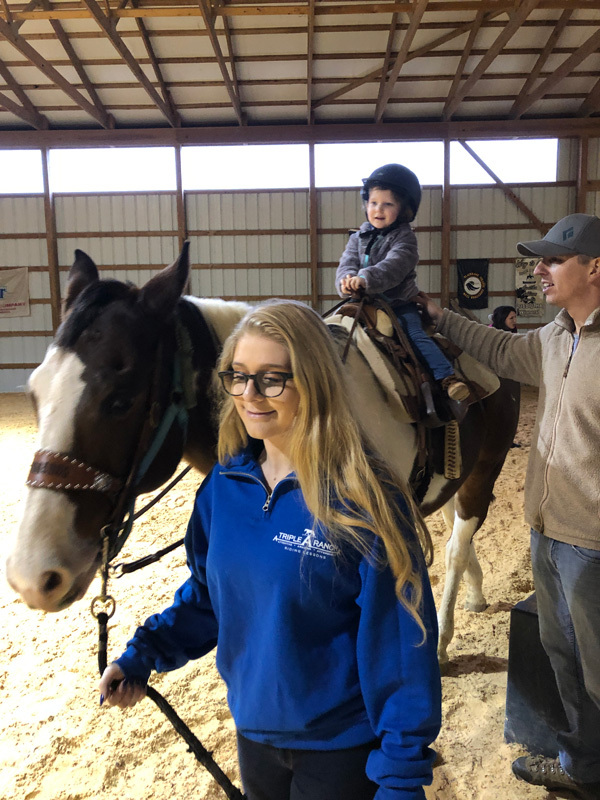 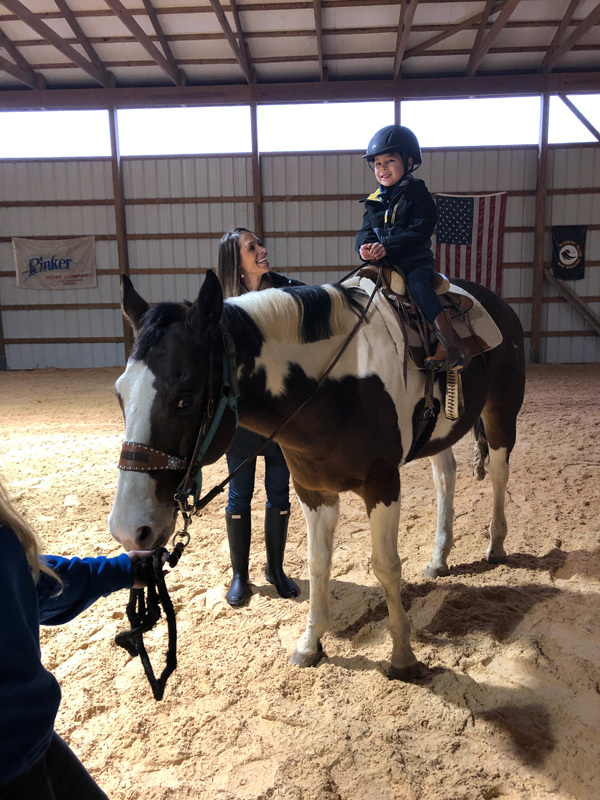 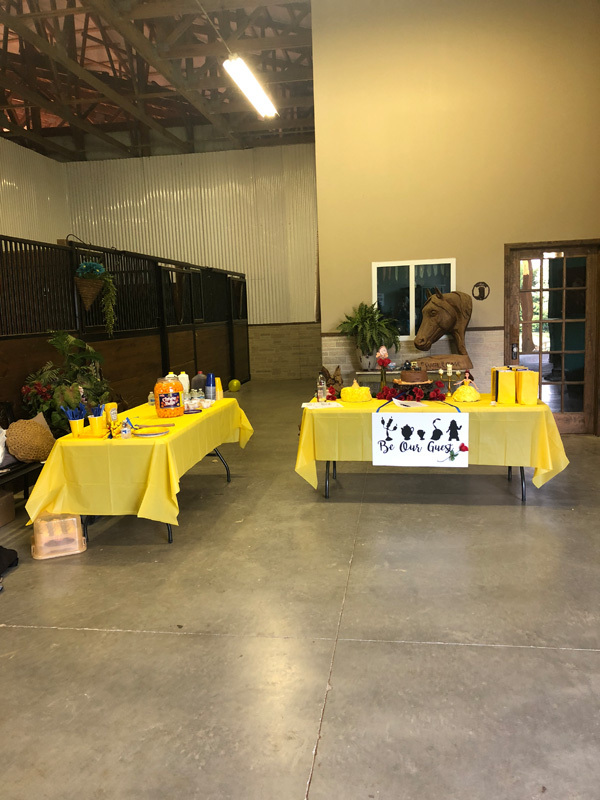 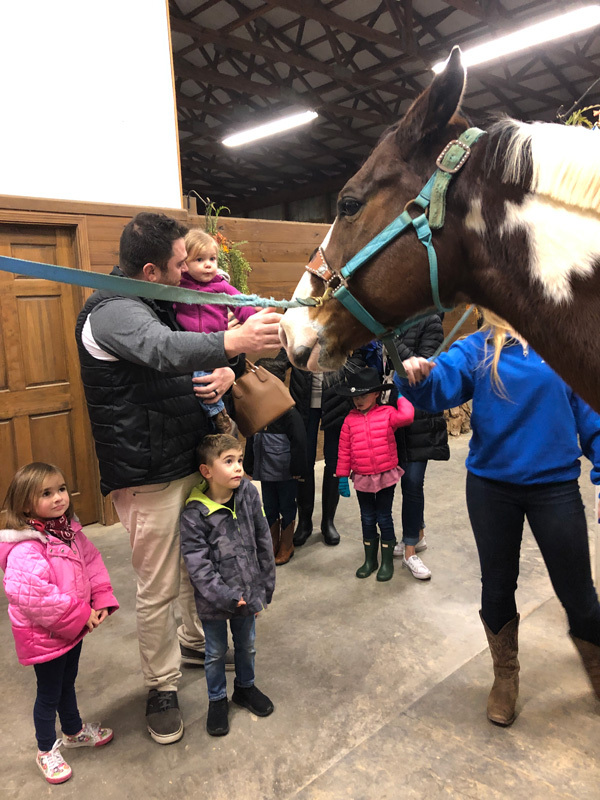 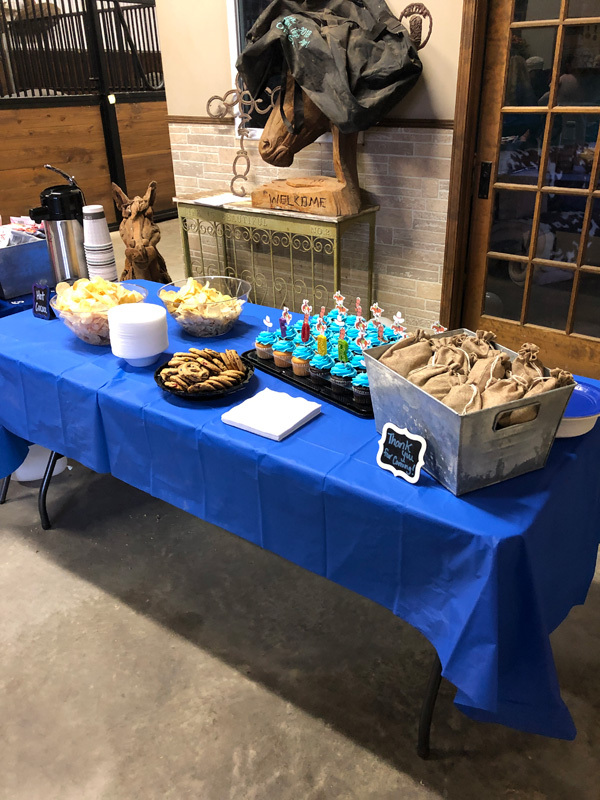 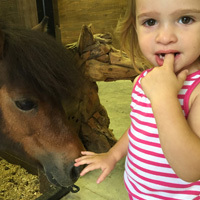 Everyone enjoyed working with the horses and each getting to ride, plus, eating delicious cupcakes! 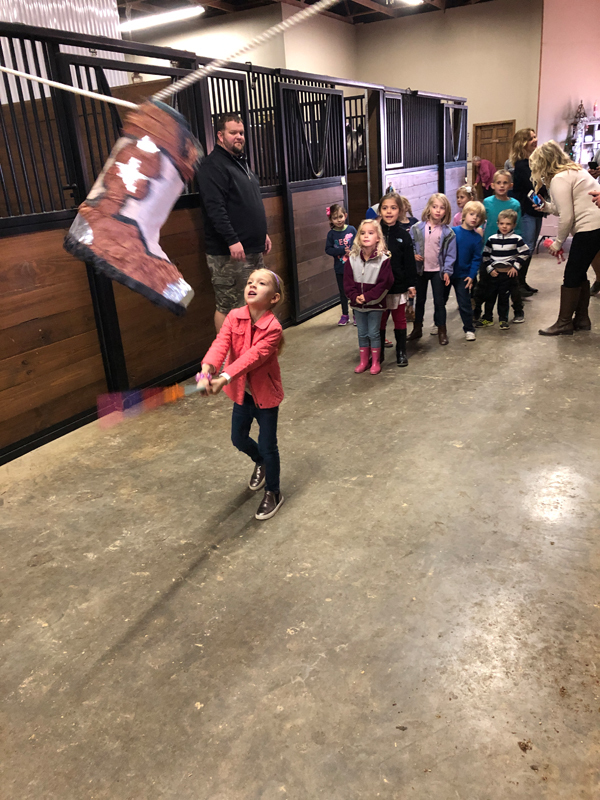 Avery Martin celebrates her 6th birthday at Triple A! 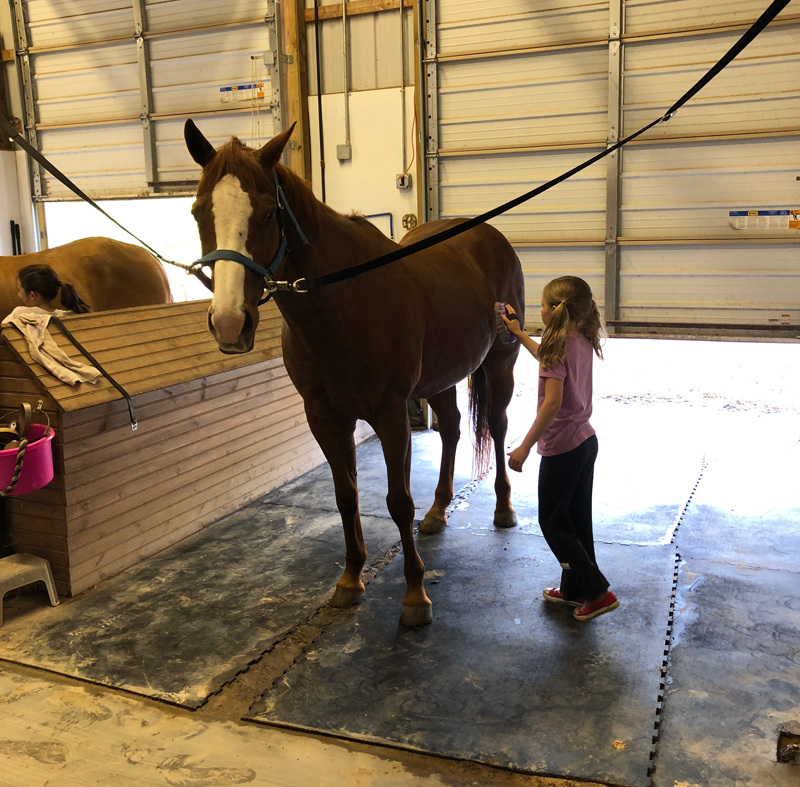 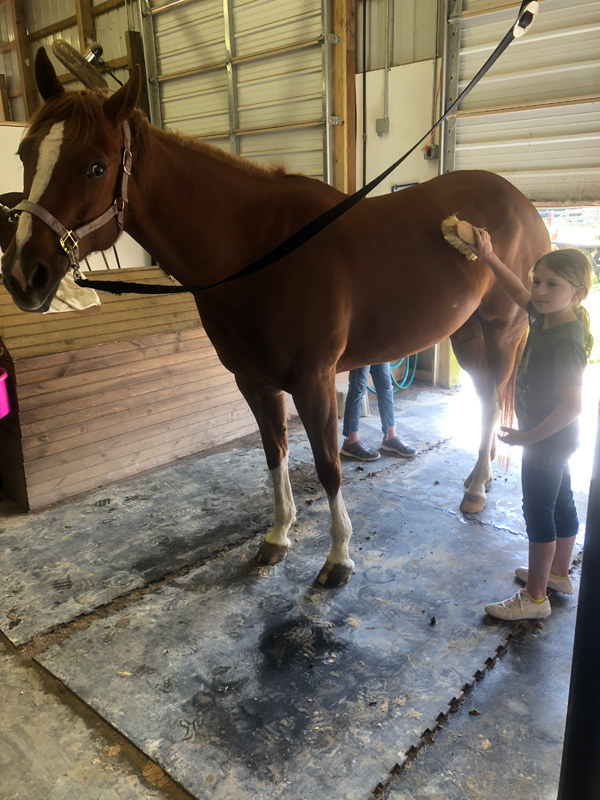 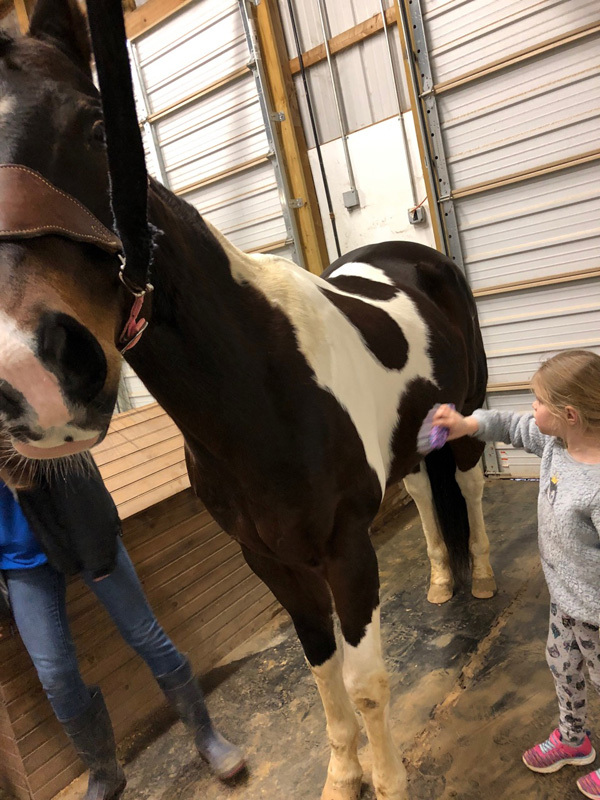 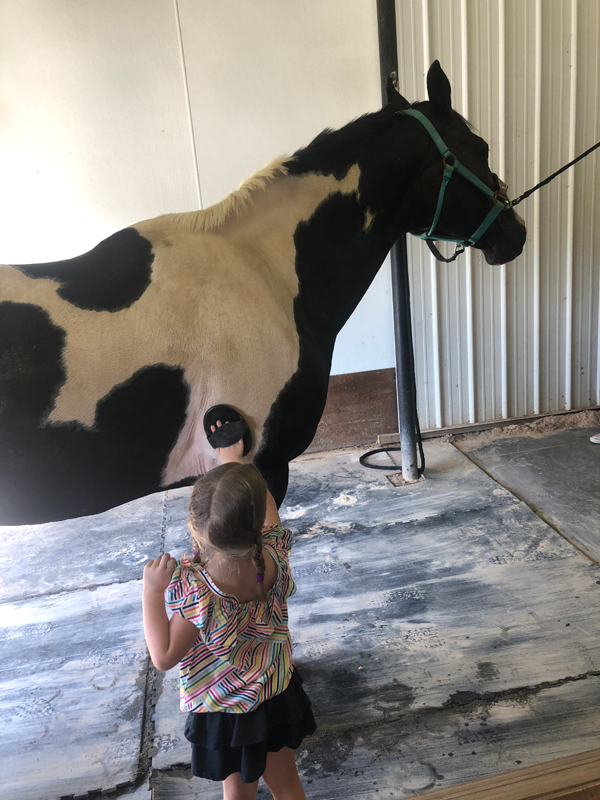 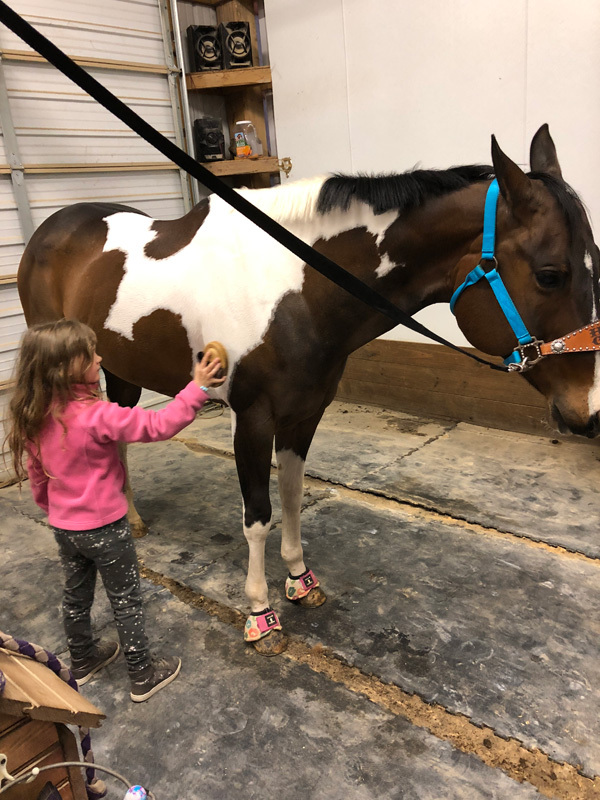 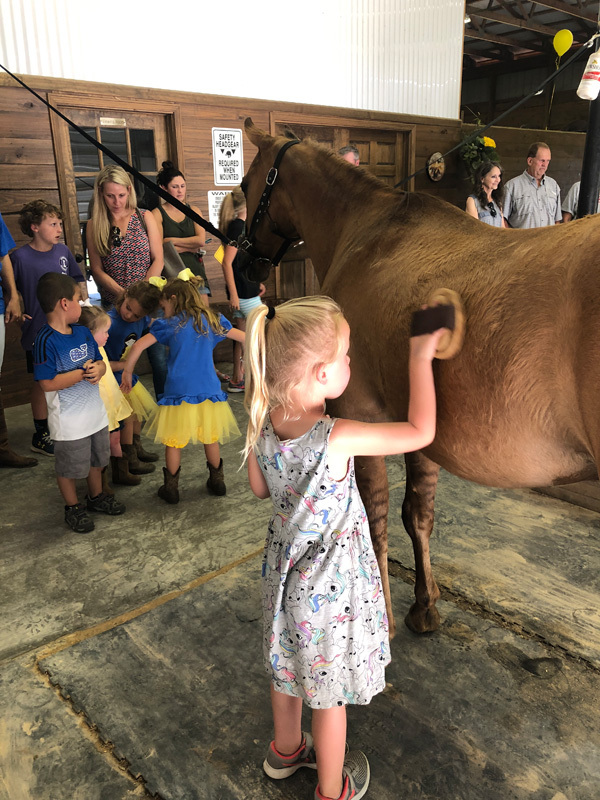 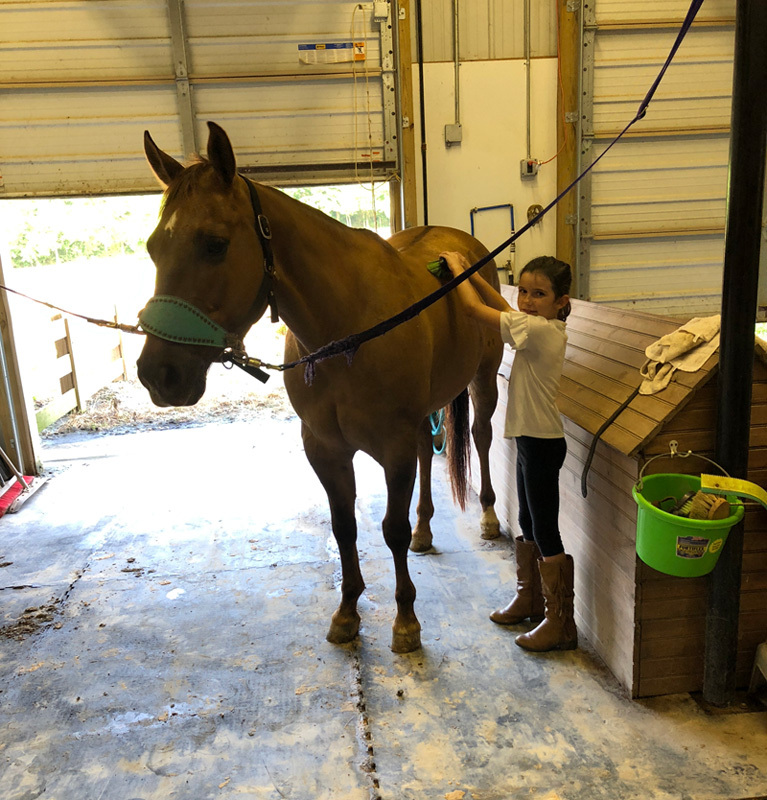 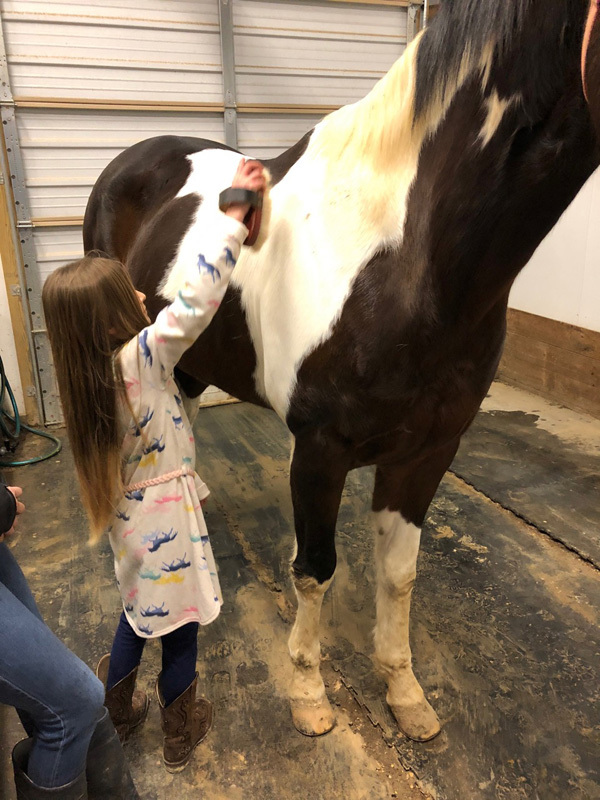 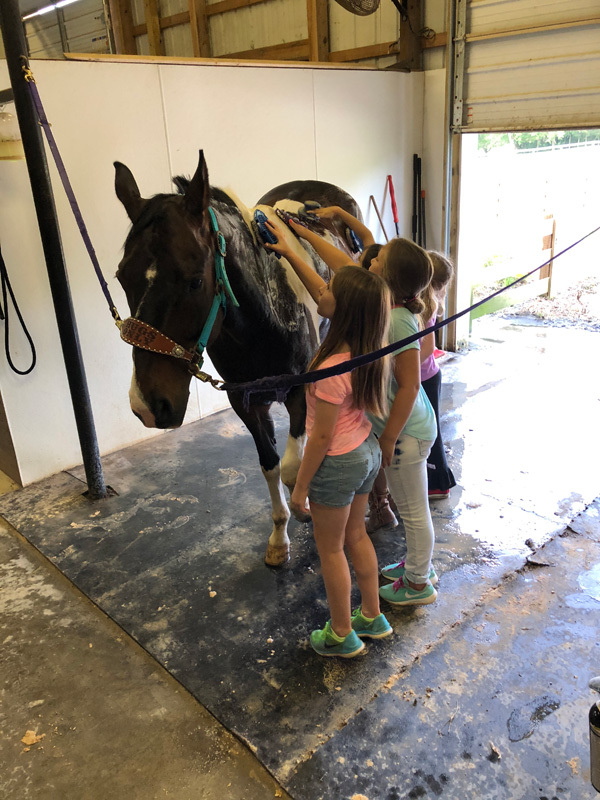 Everyone enjoyed riding and grooming the horses. 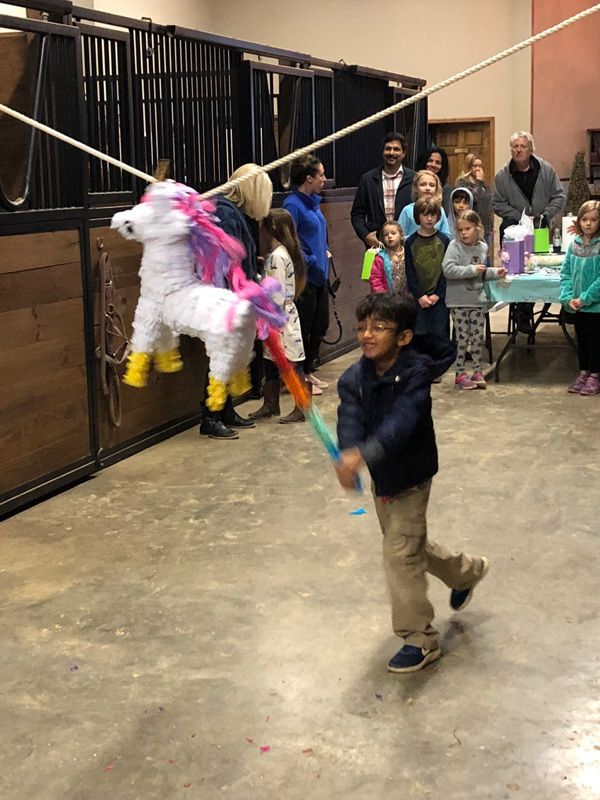 We ate lots of great food, open presents, and laughed very loud hitting at a piñata ! 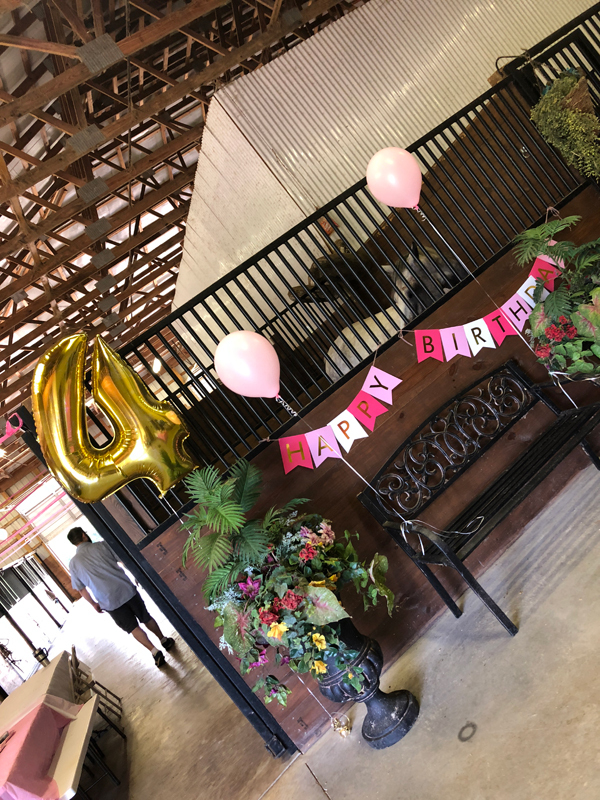 Kaori celebrated her 4th birthday here at Triple A Ranch. 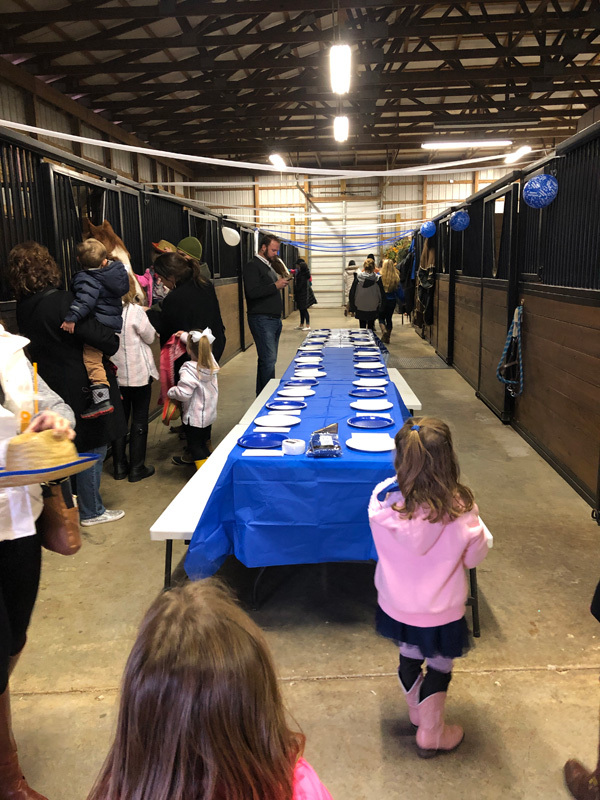 Lots of horse riding, food and presents! 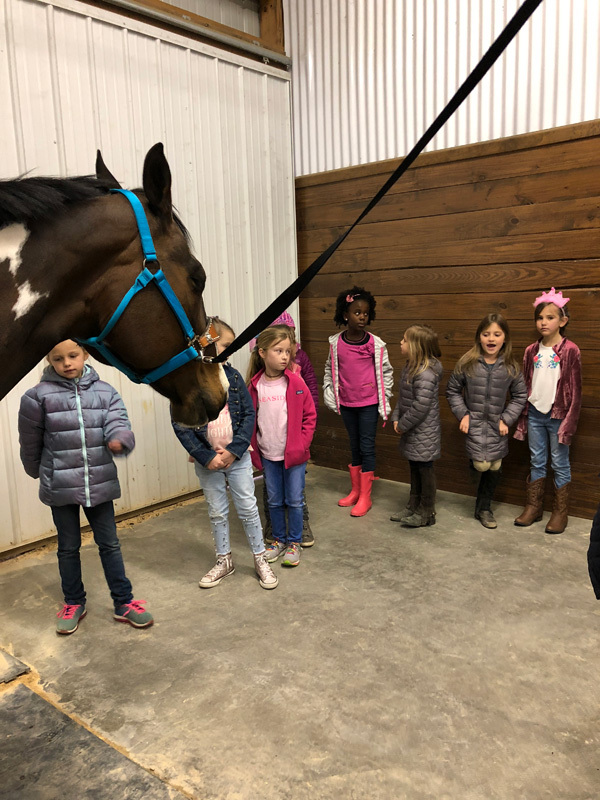 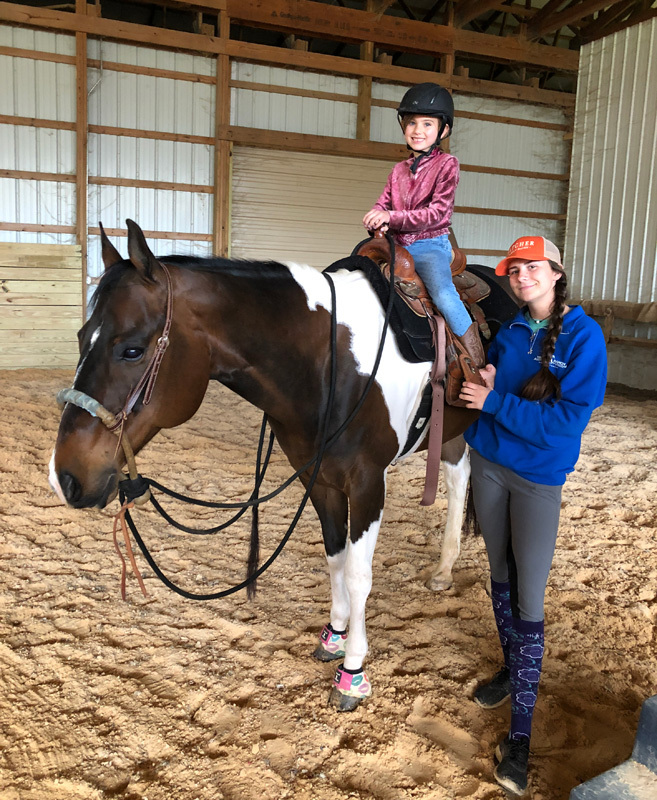 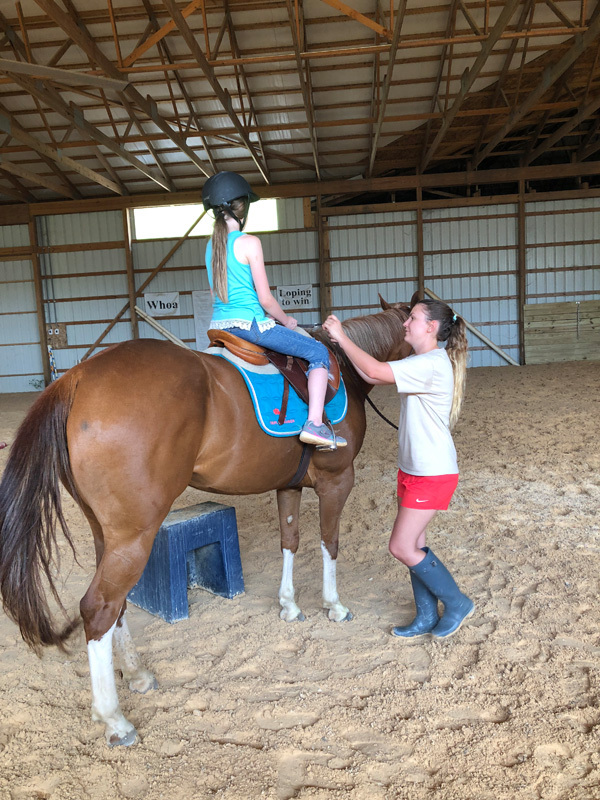 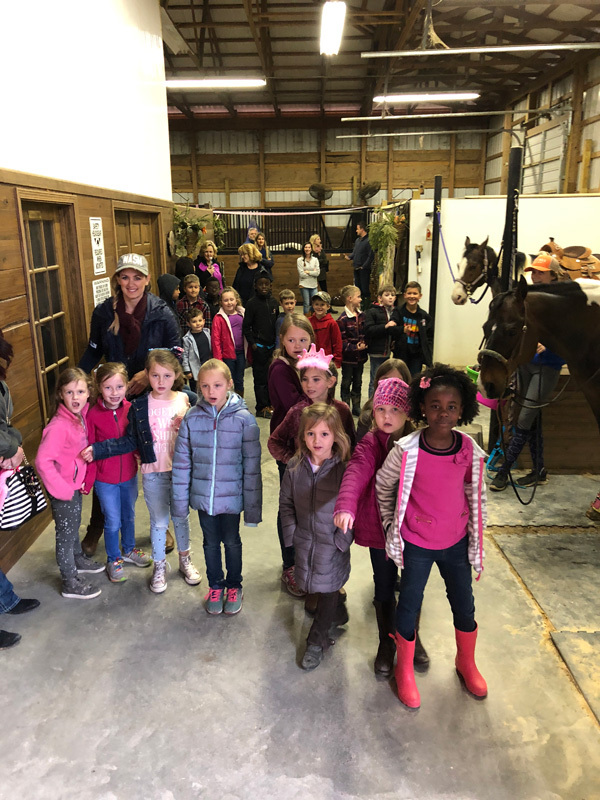 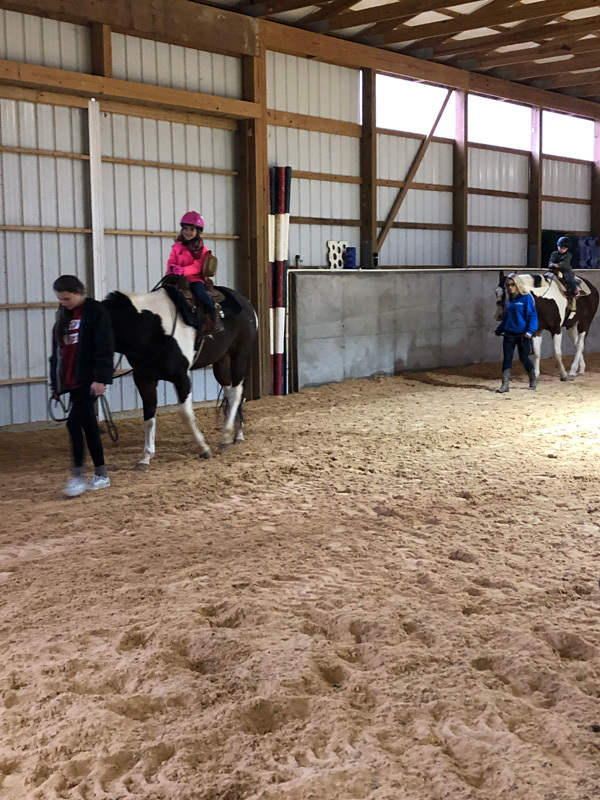 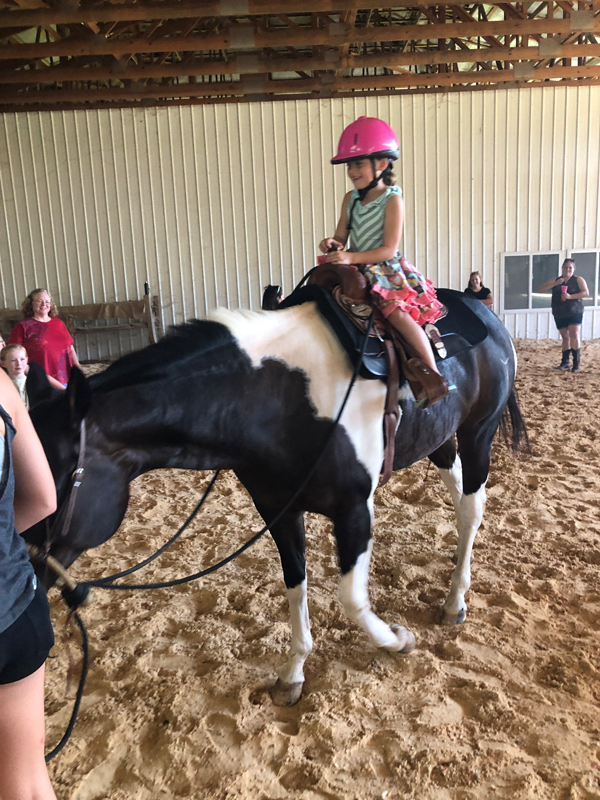 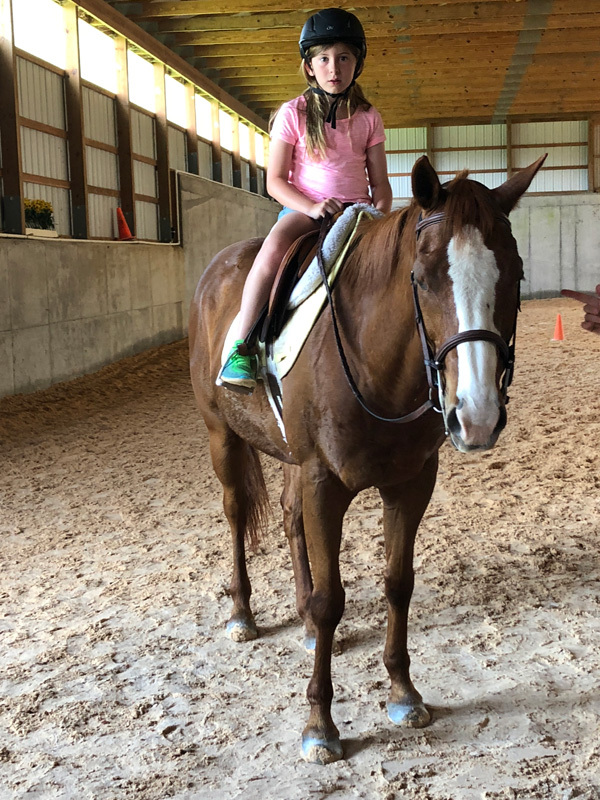 Another wonderful group of Girl Scouts that learned so much and got over their fears of horses! 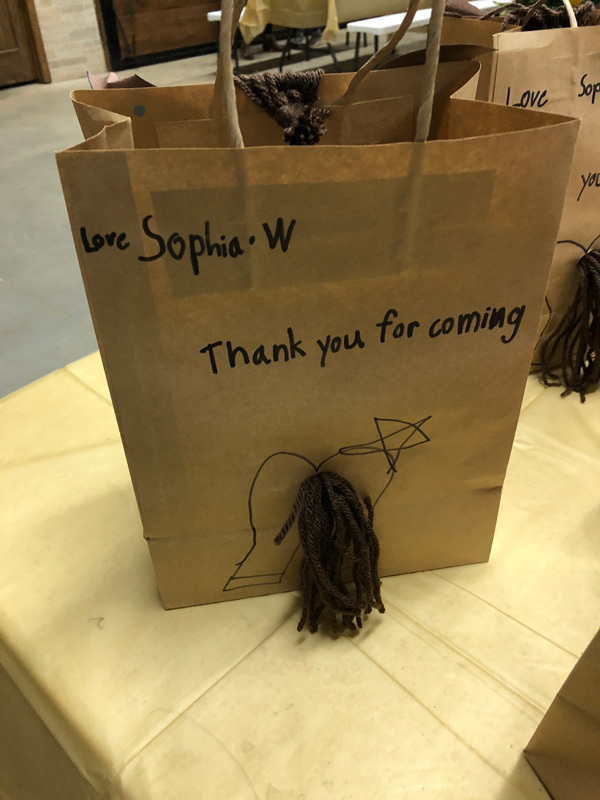 We love Girl Scout groups! 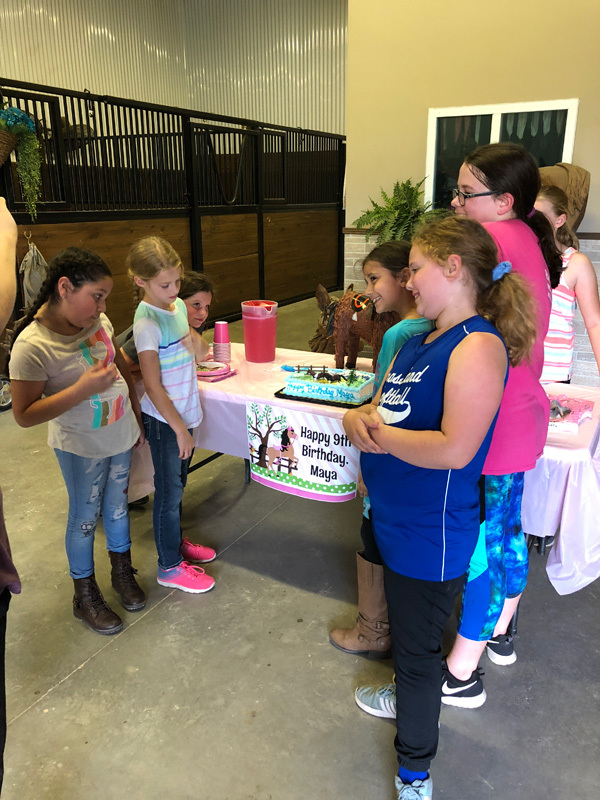 Maya celebrated her 9th birthday with the help of her 6 of her girlfriends. 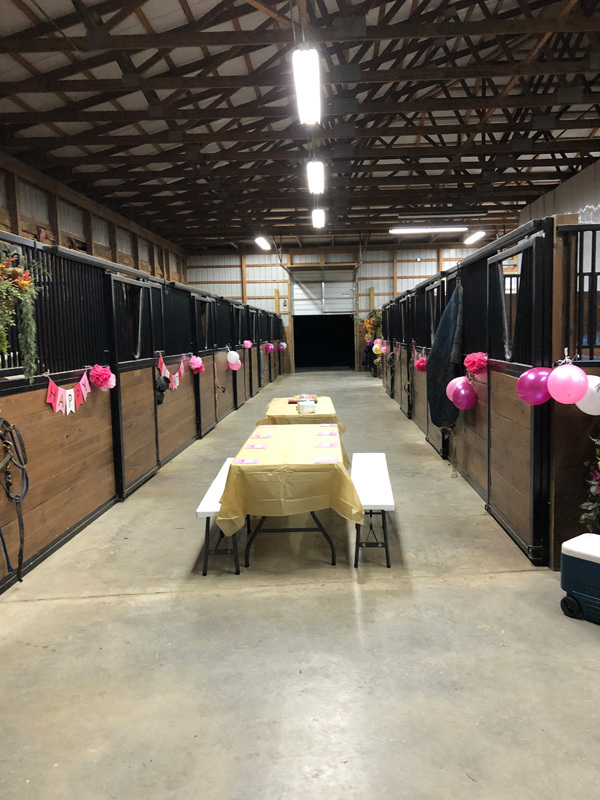 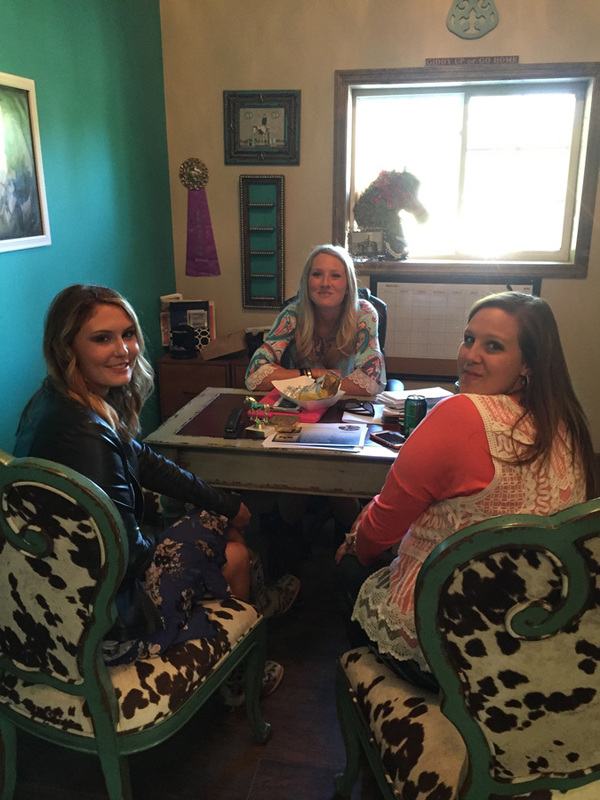 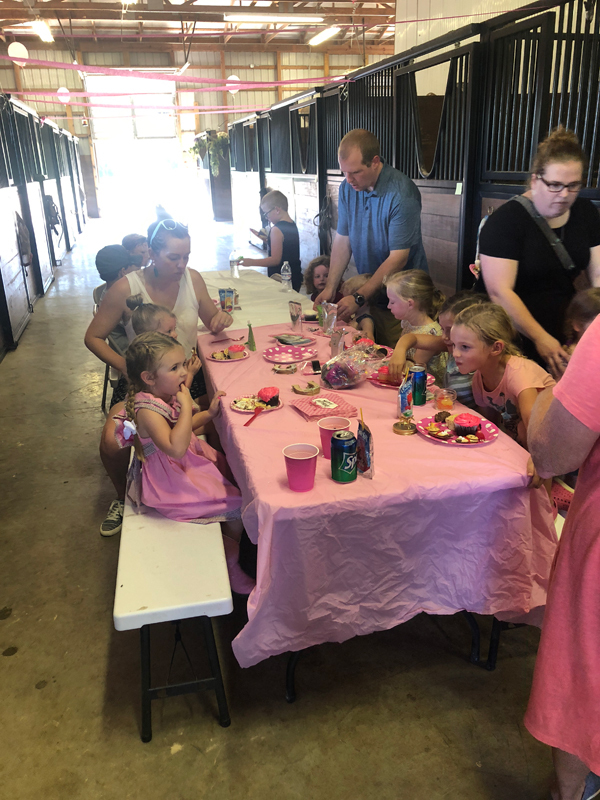 This by far was the quietest birthday party we have ever hosted, but it still was a BLAST! 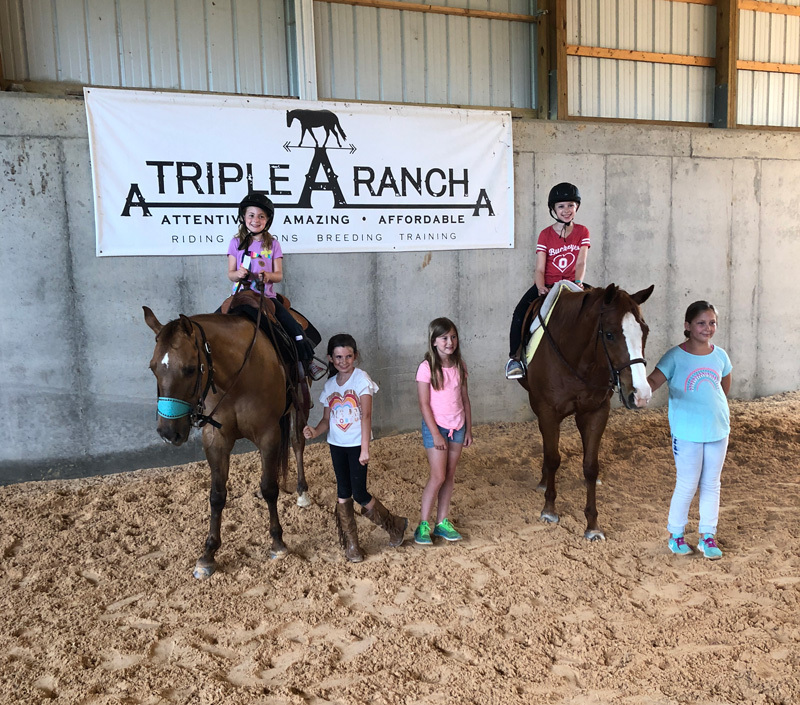 The girls had so much fun and learned a lot. 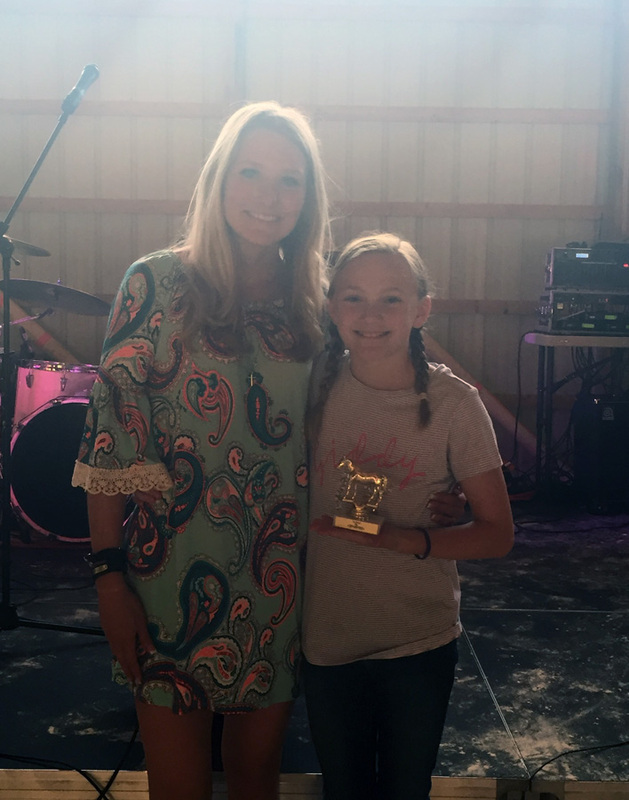 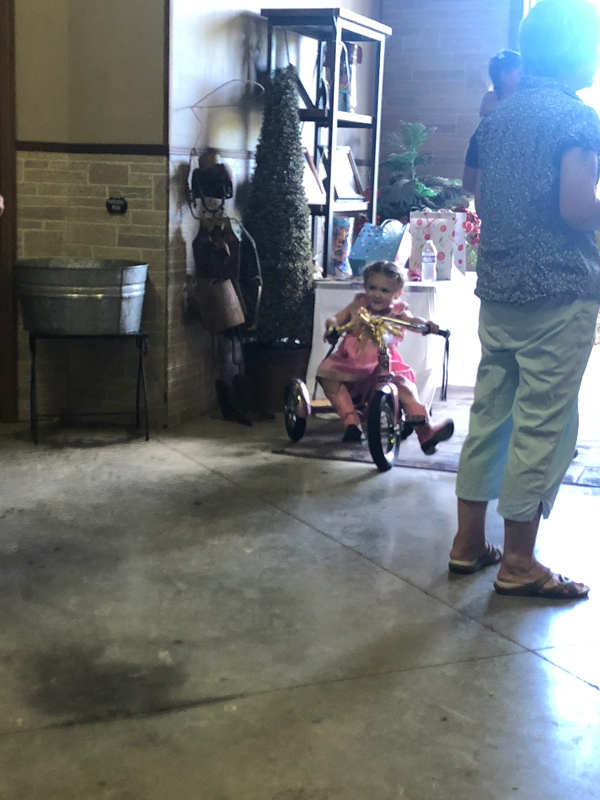 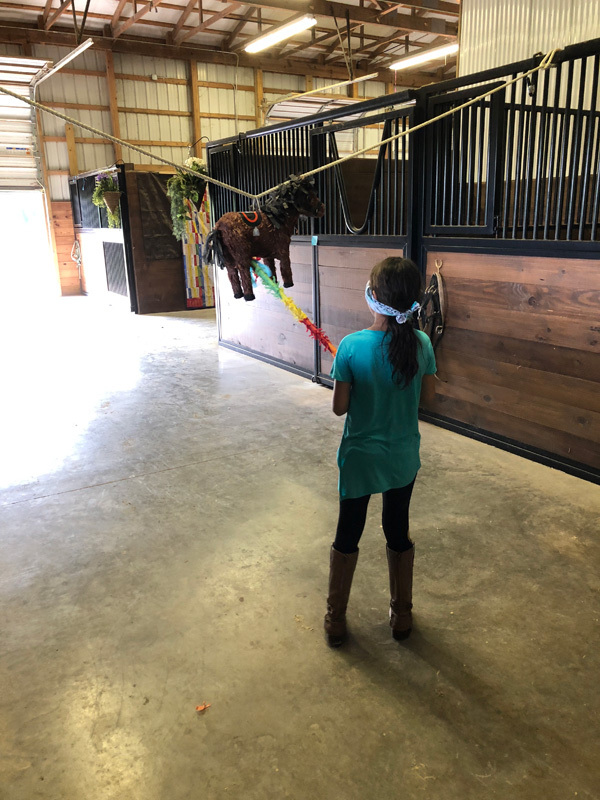 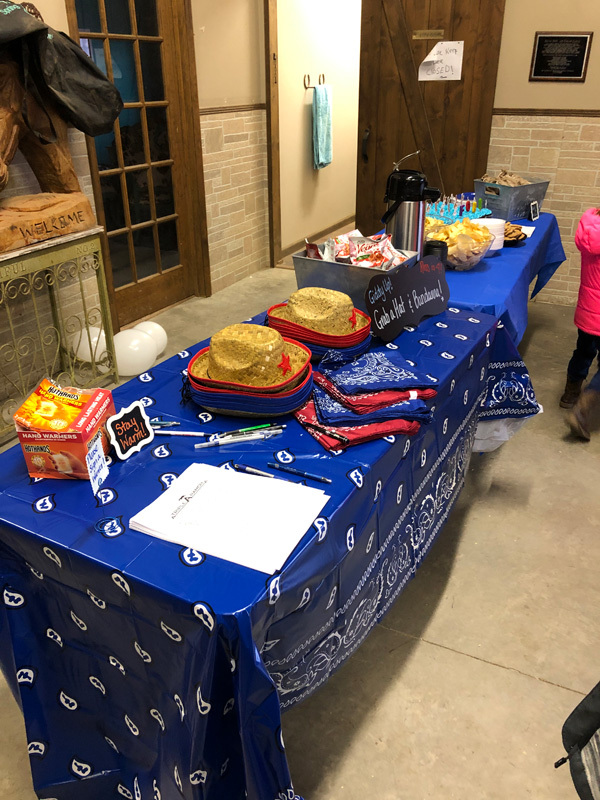 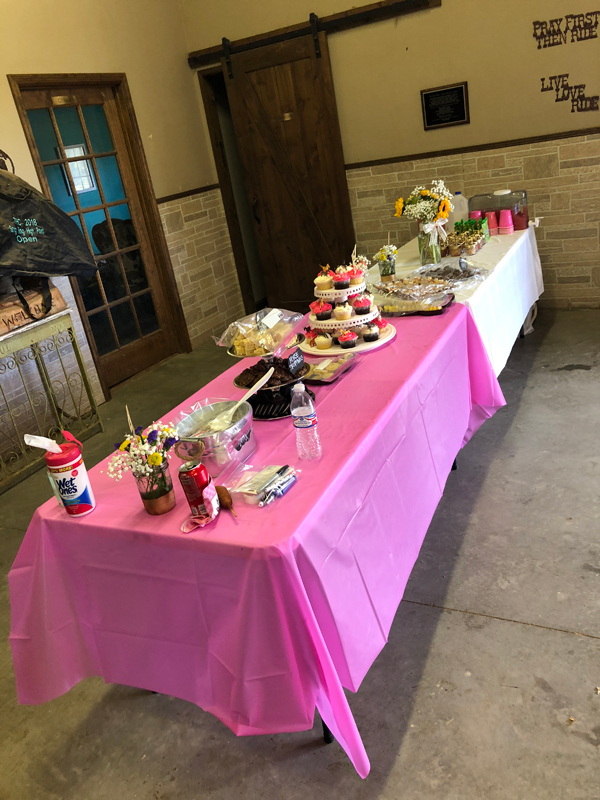 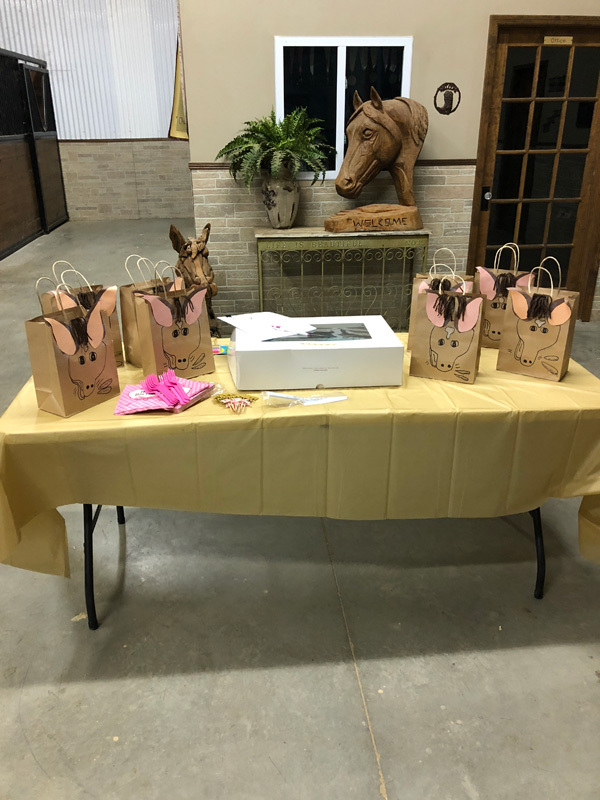 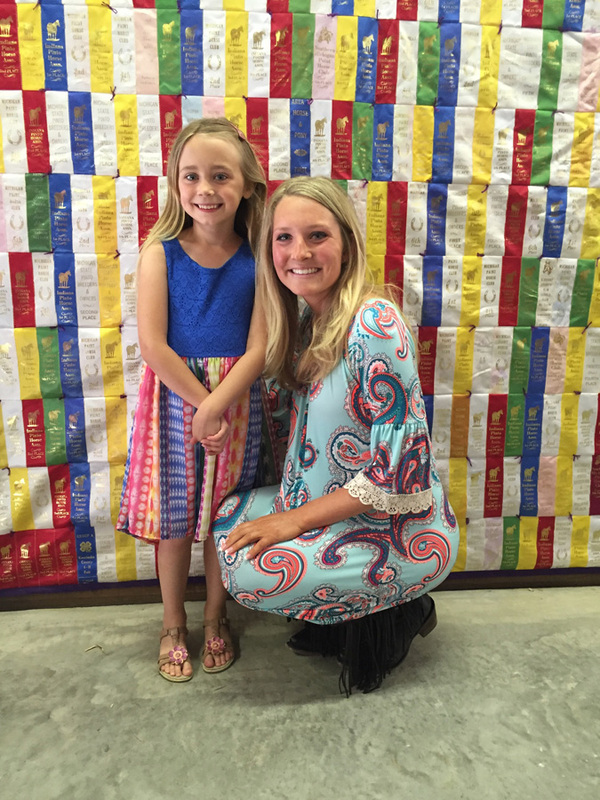 Cake, horse grooming, horse riding, and piñata, and a little more cake! 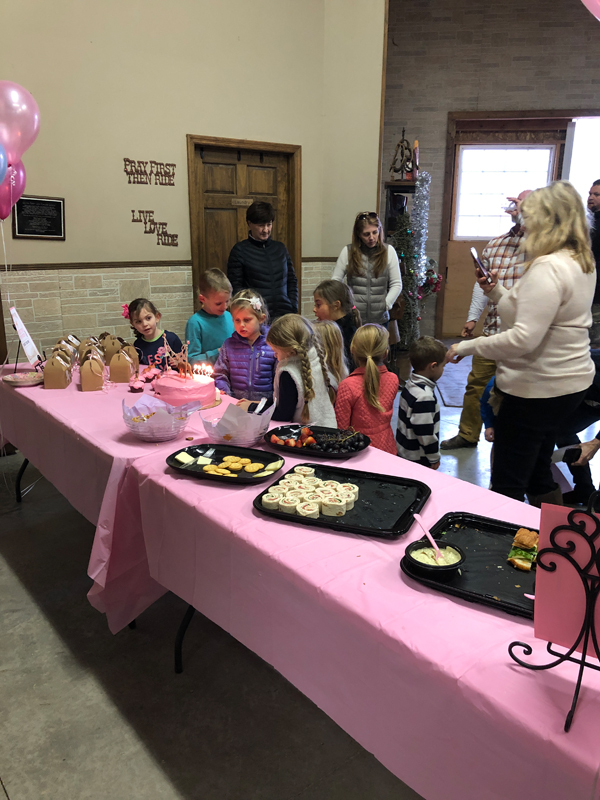 This time it was for triplets that were turning 5! 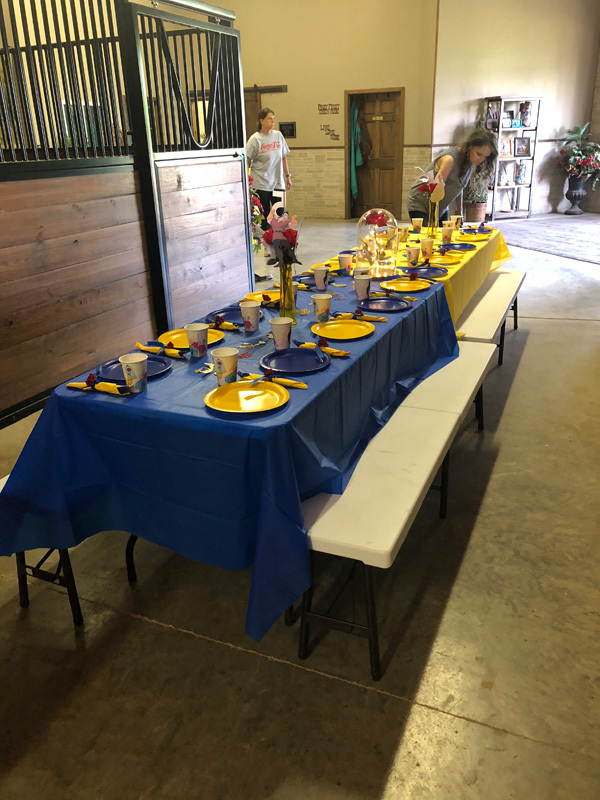 We had a Beauty and the Beast theme and it was an Awesome party! 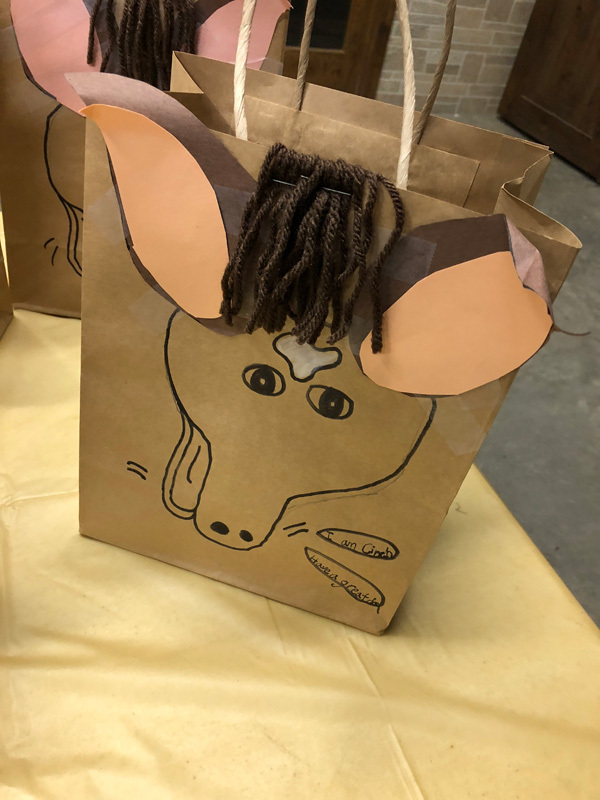 We did arts and crafts. 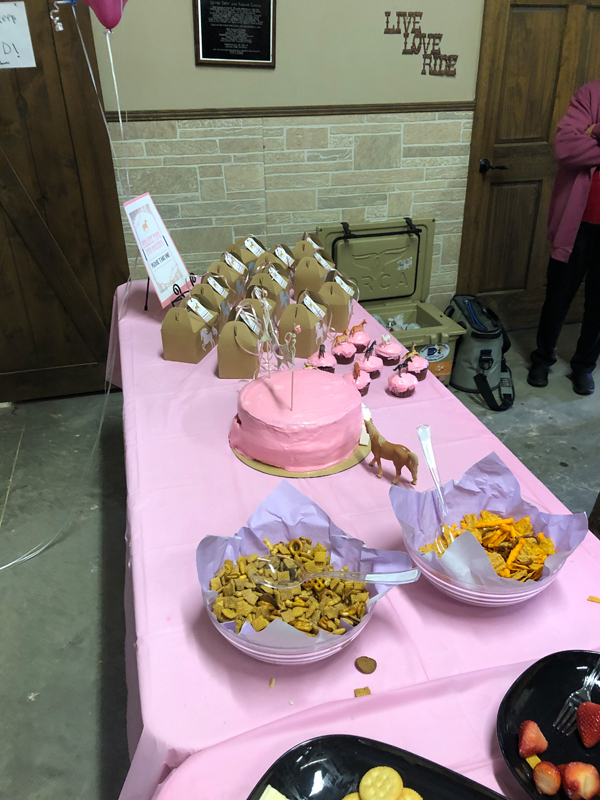 Ate a lot of cake and hot dogs. 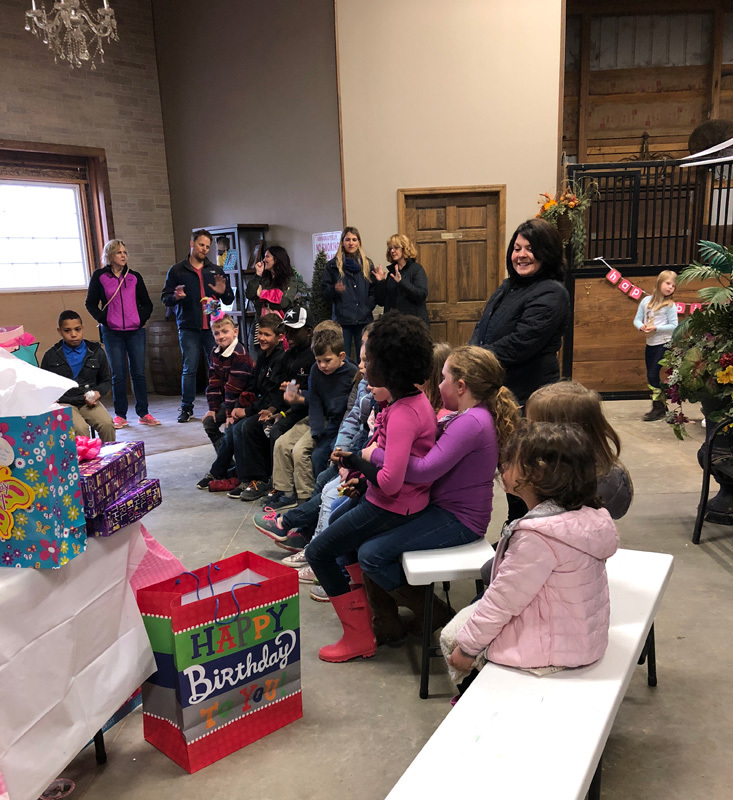 With triplets, there were tons of presents. 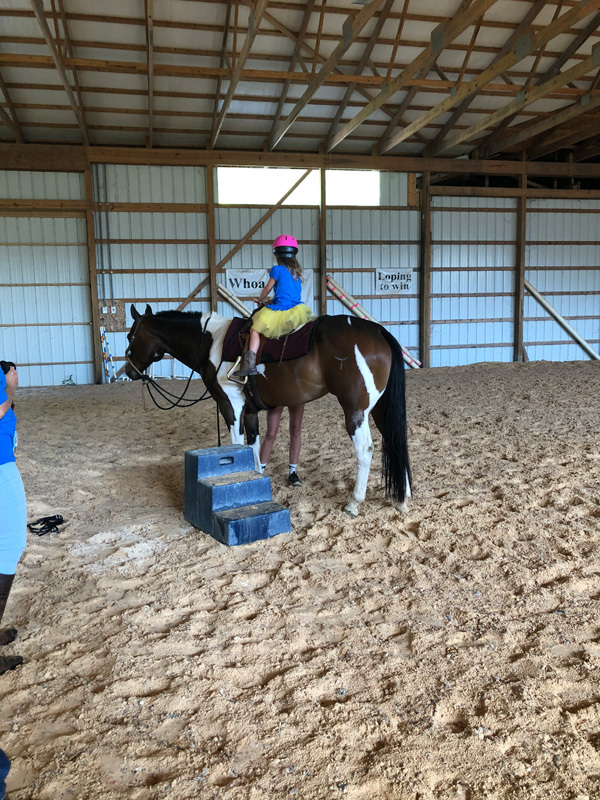 And, of course, we all did horse back riding! 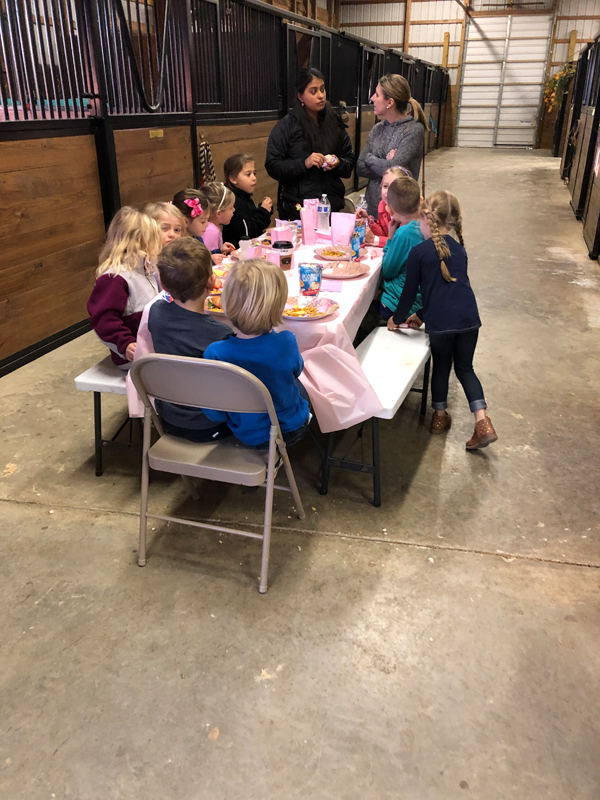 Great Birthday Party! 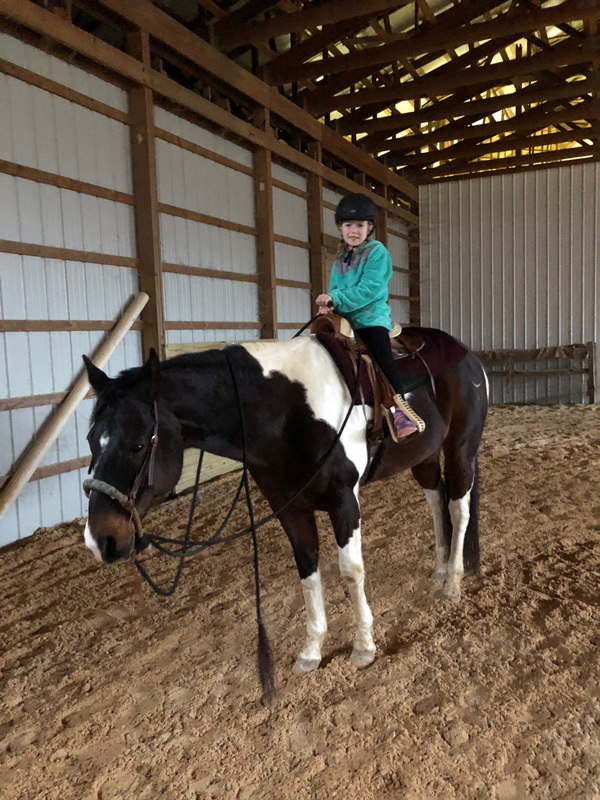 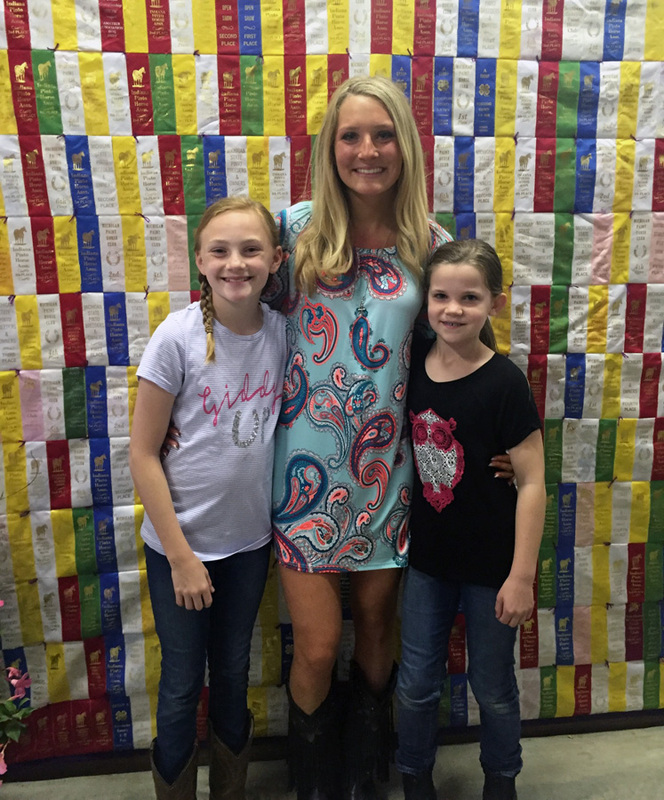 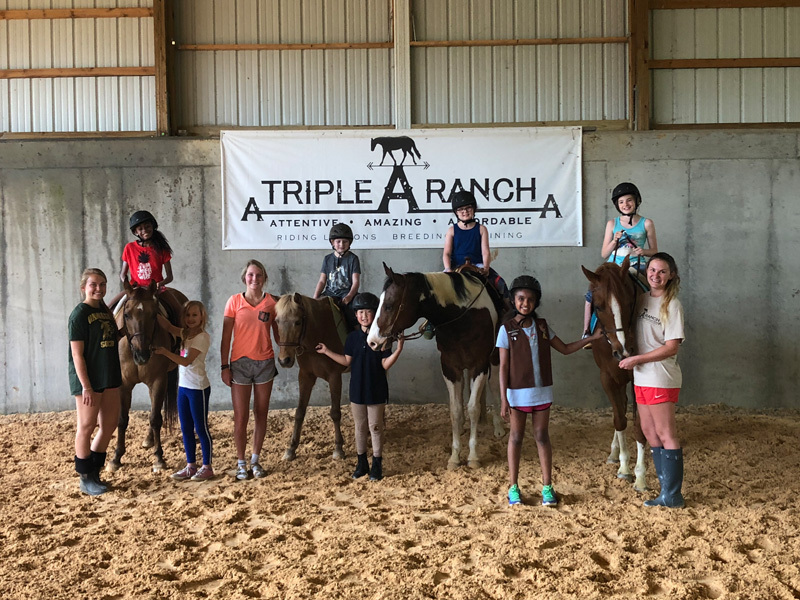 2018 May - Girl Scouts Display Skills and Earn Badges! 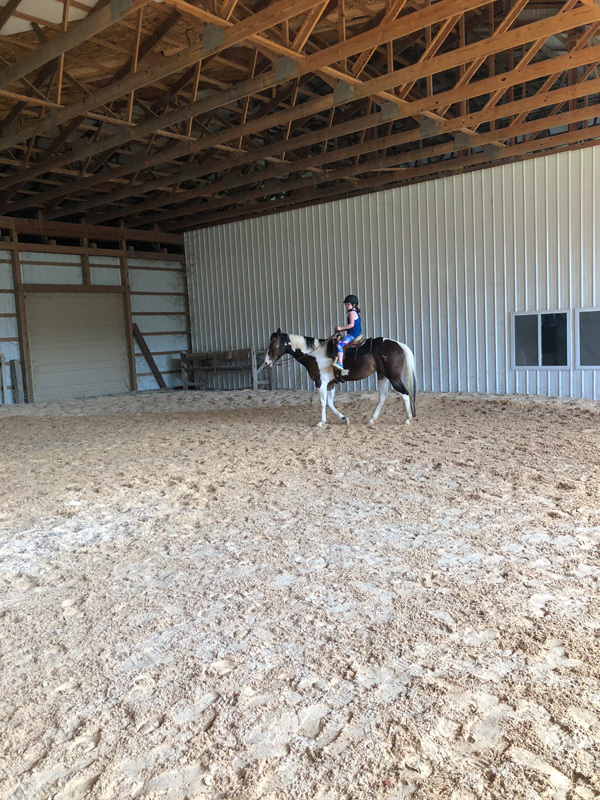 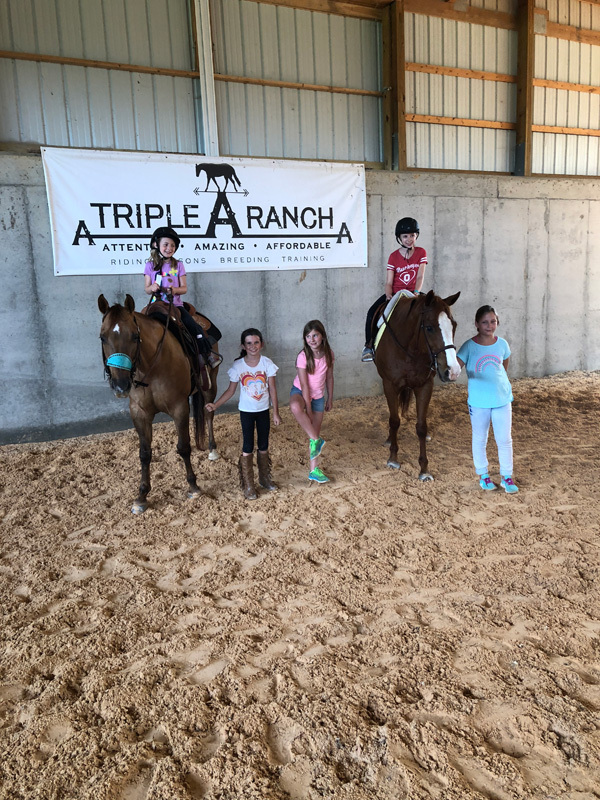 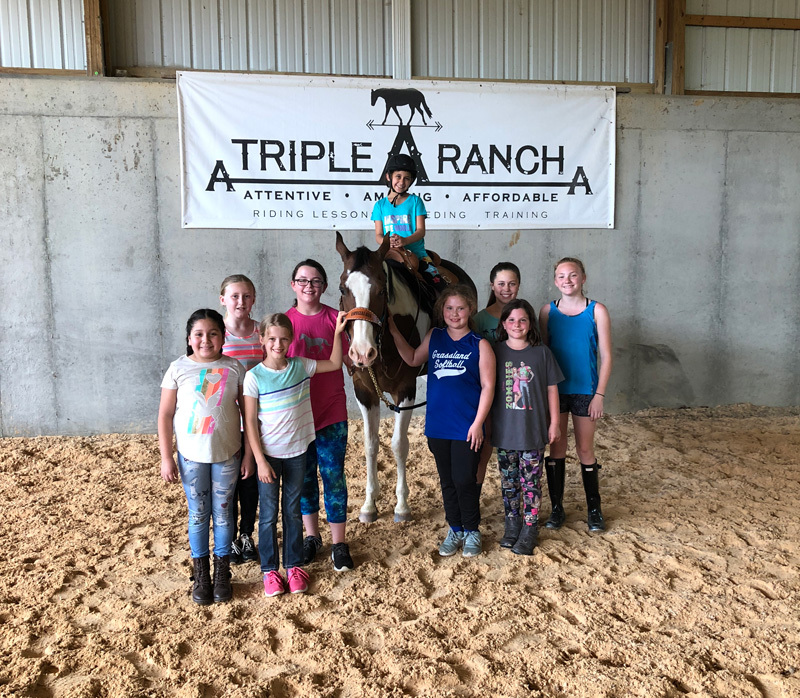 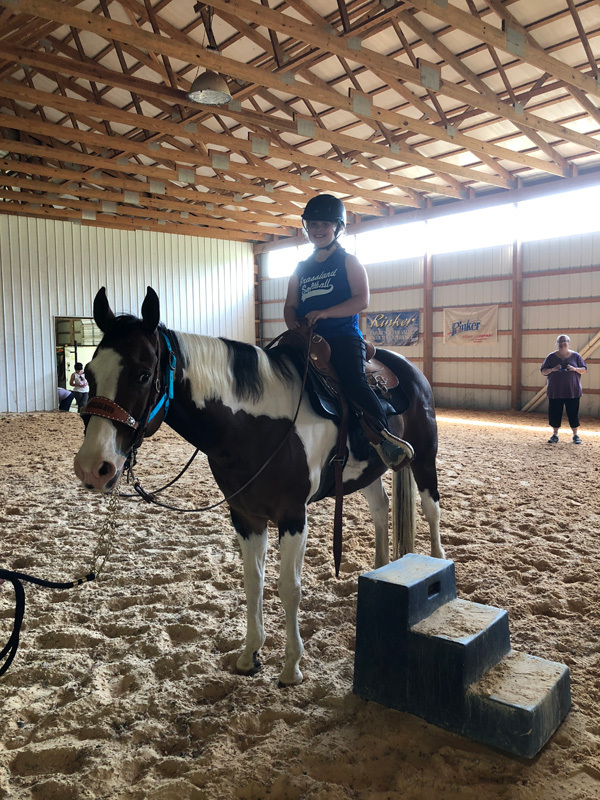 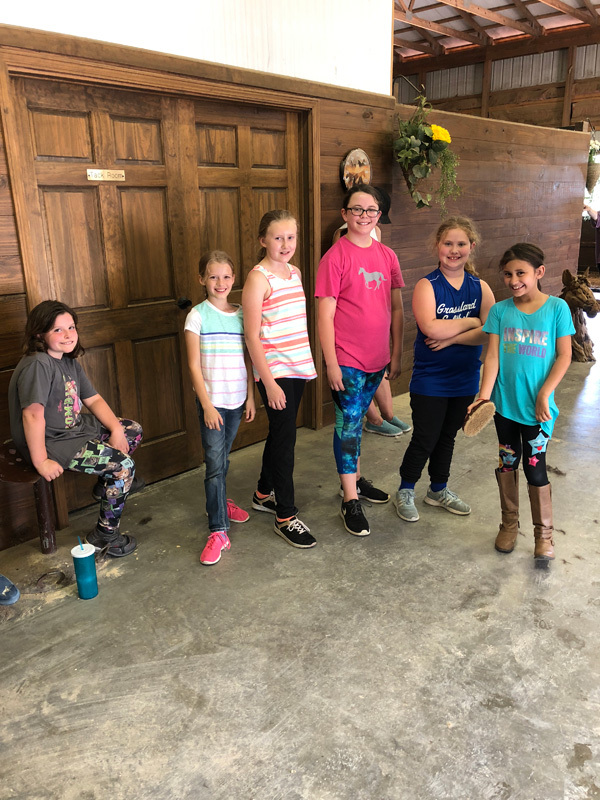 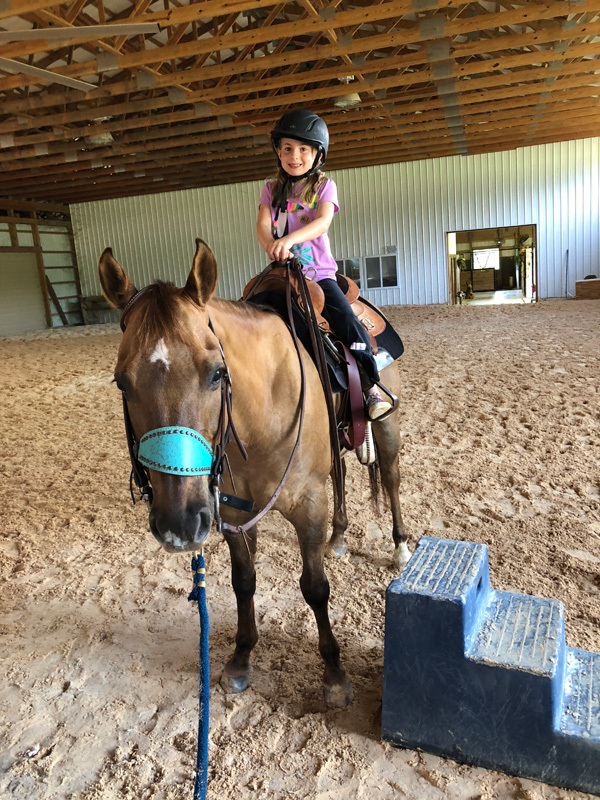 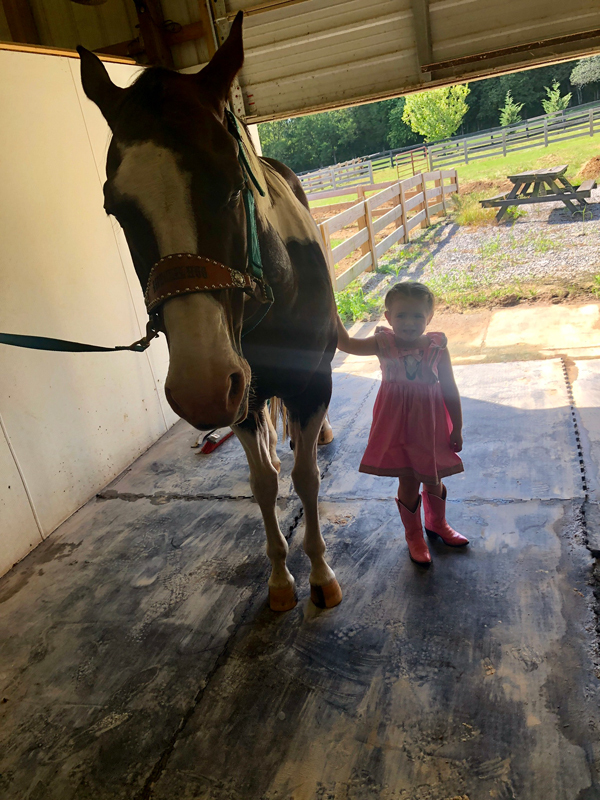 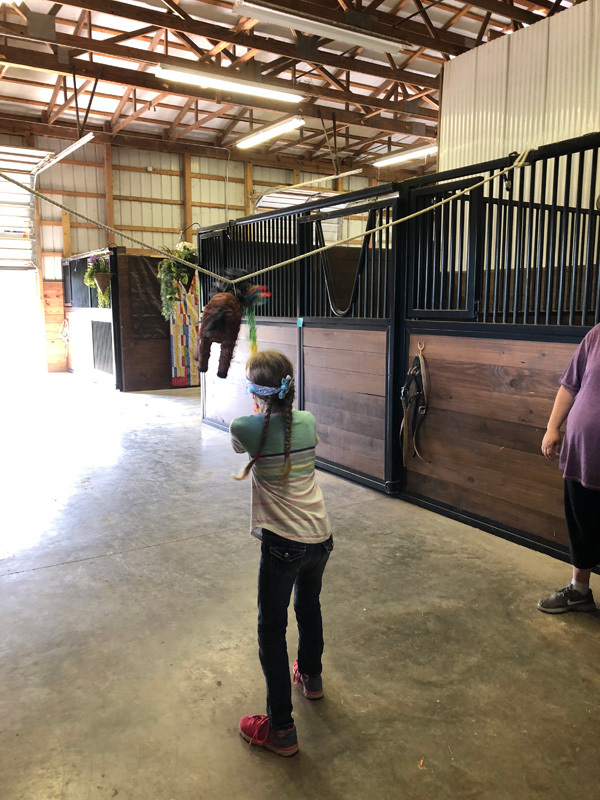 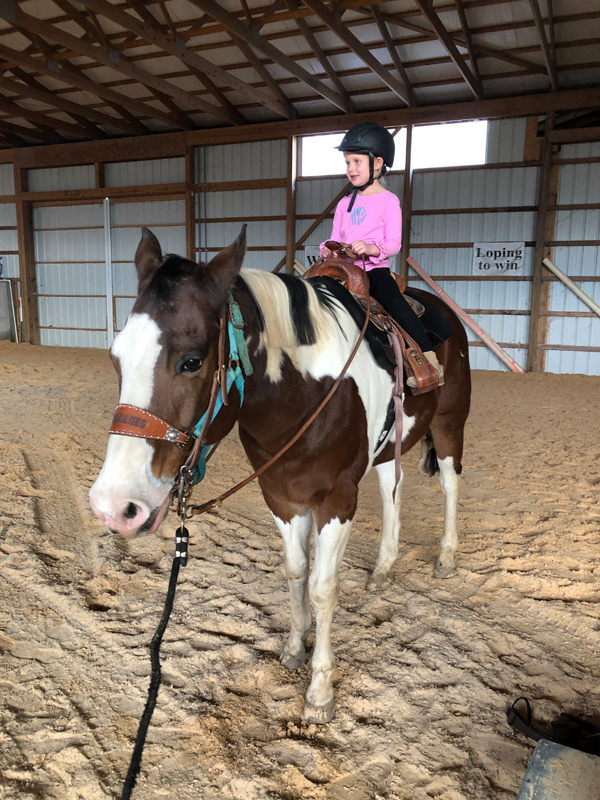 We had 7 Girl Scouts come to the barn on May 6 and earn 3 of their badges. 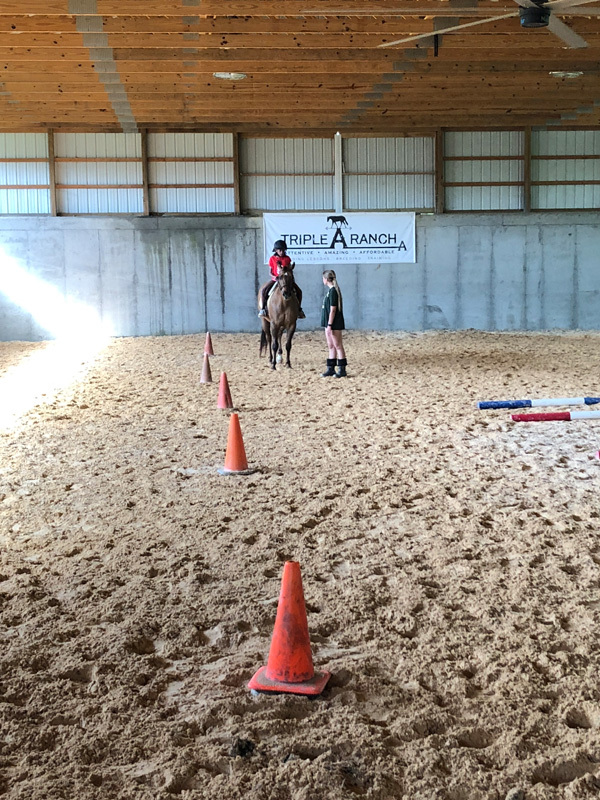 They prepared the horses for riding and exhibited their skills doing sepentines around pylons and obstacles. 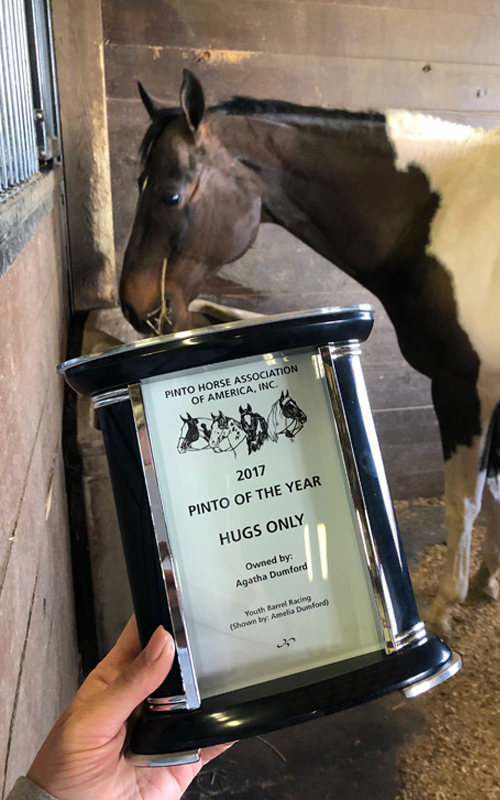 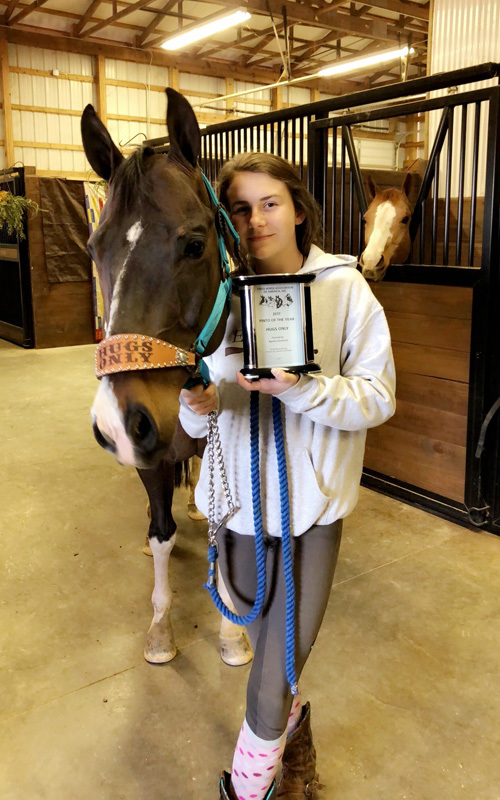 Congratulations to Amelia Dumford and Hugs Only! 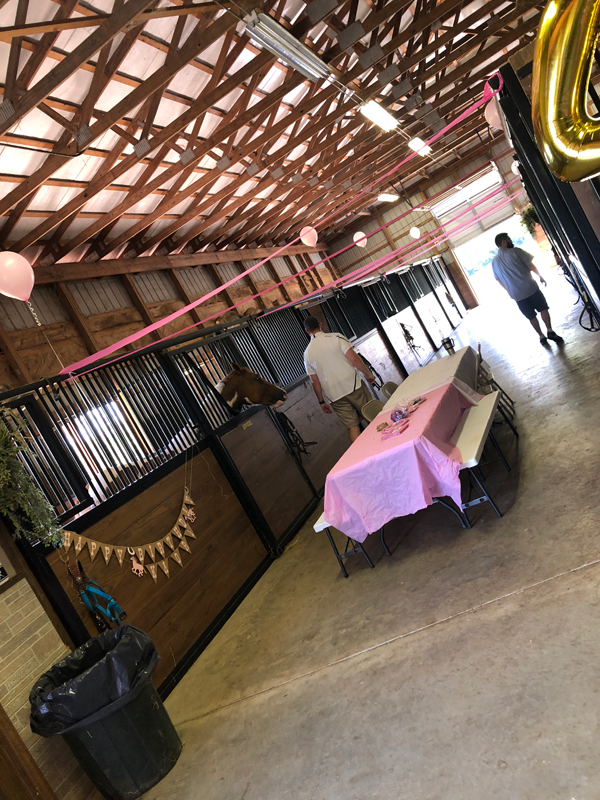 A big Happy Birthday to Pepper Hawkin! 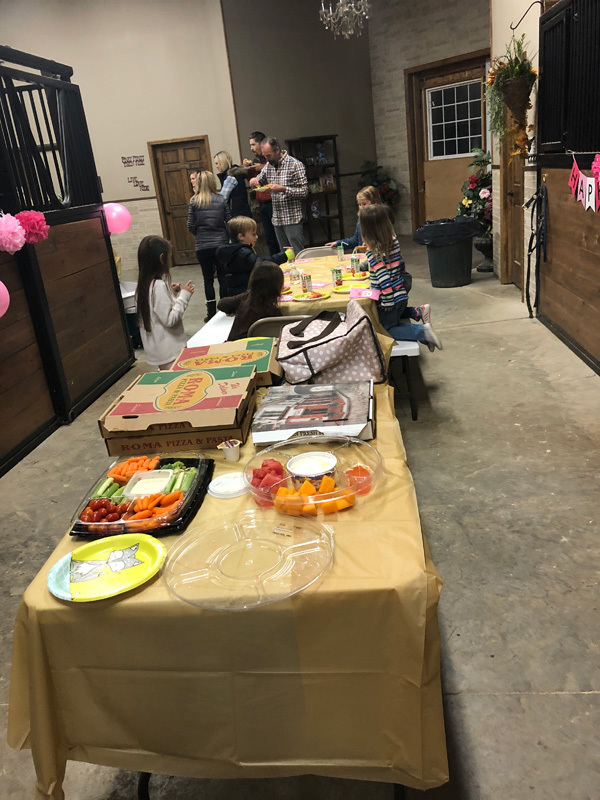 What a great party. 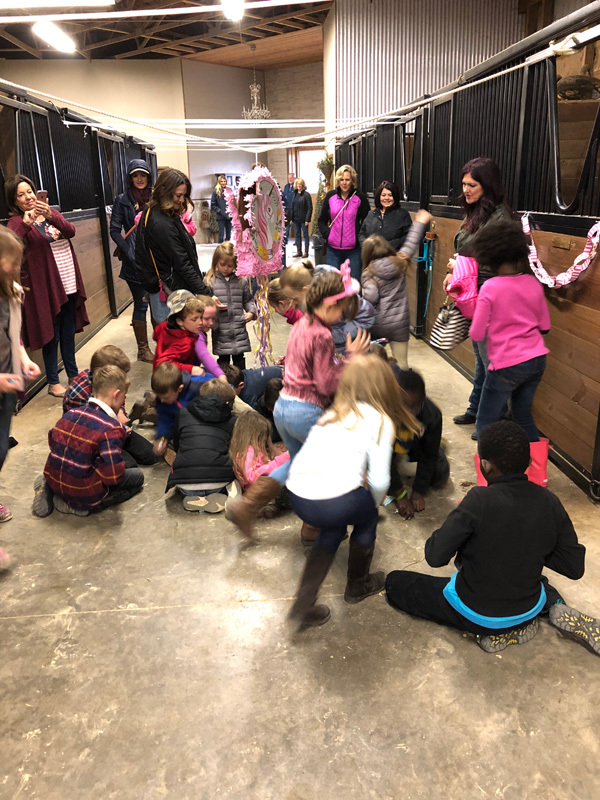 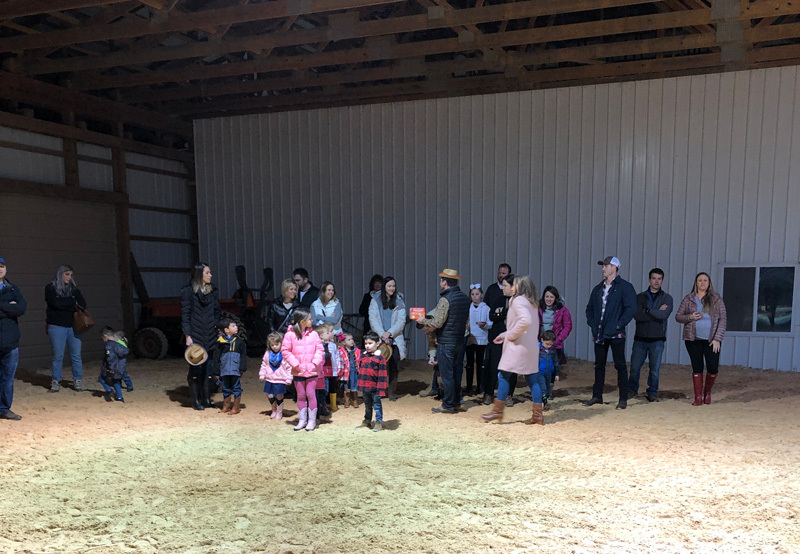 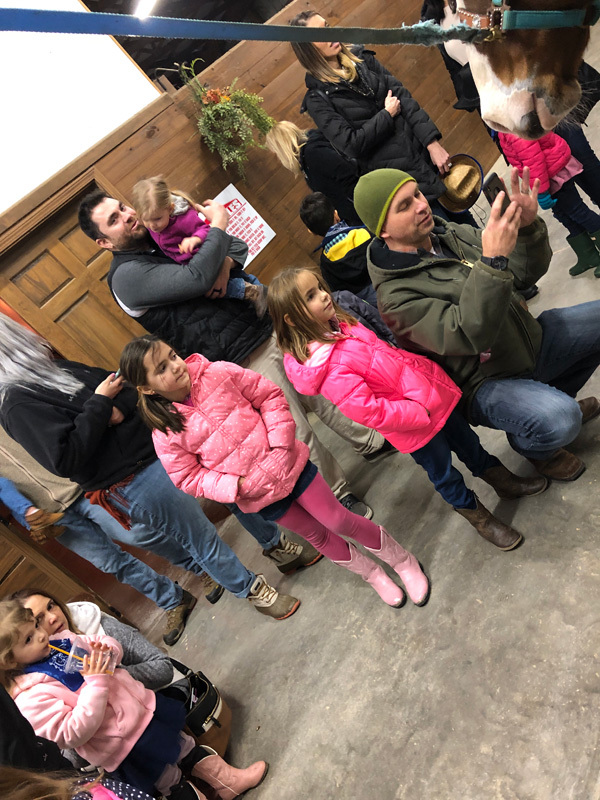 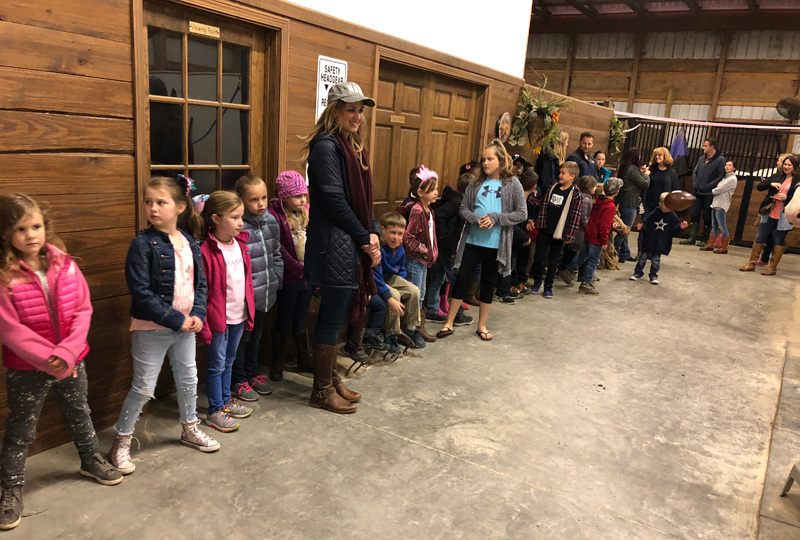 We had 26 kids this time and the barn was really hopping! 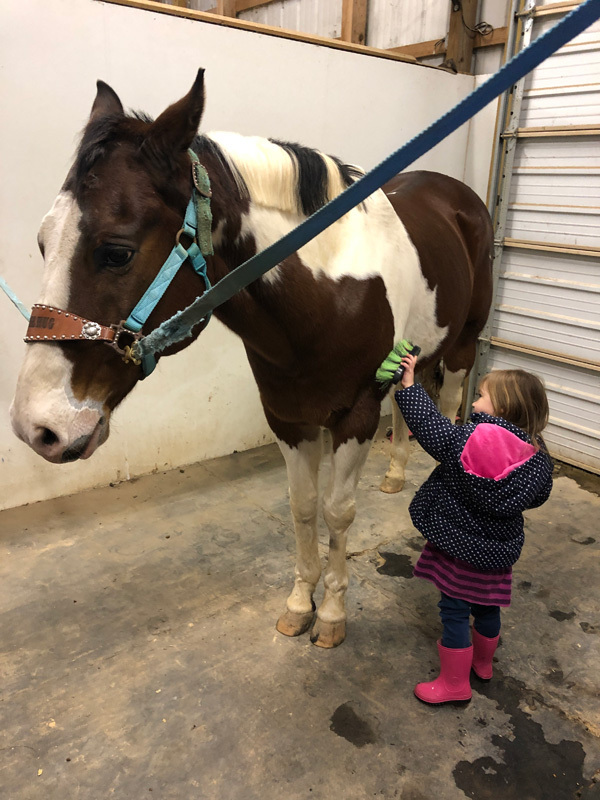 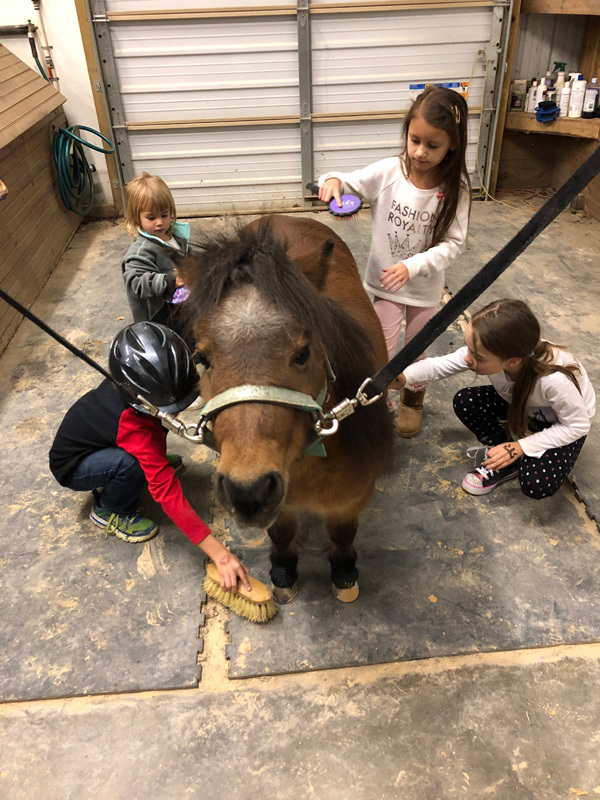 Everyone got to help groom and ride horses. 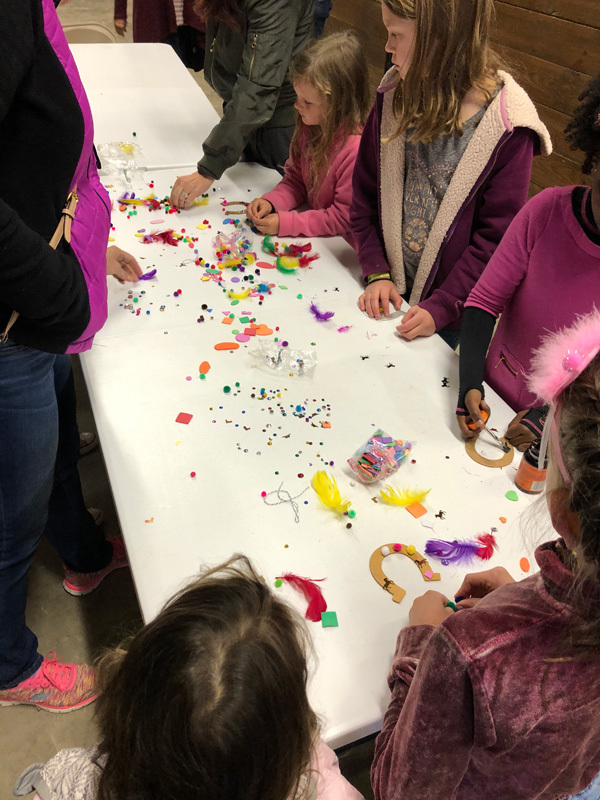 We did Arena games and crafts. 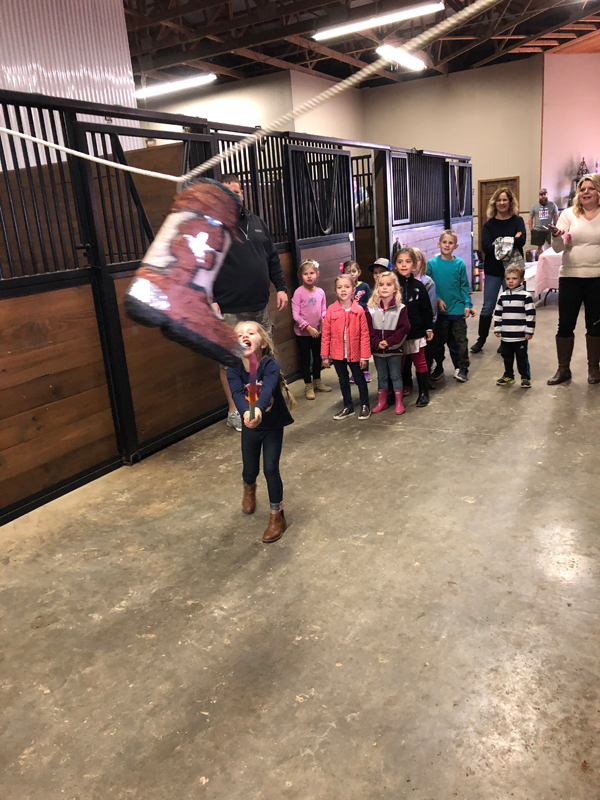 The cake was fantasic and we had a pinata! 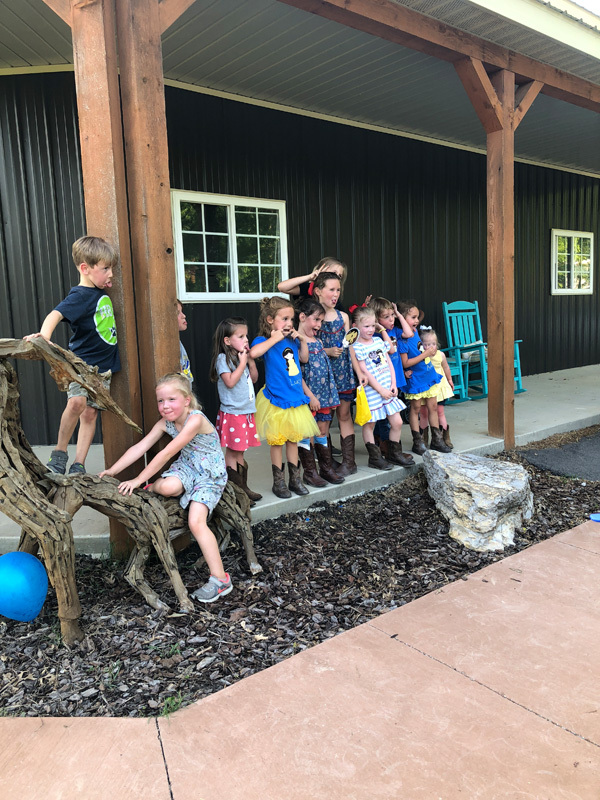 What a great group for a birthday! 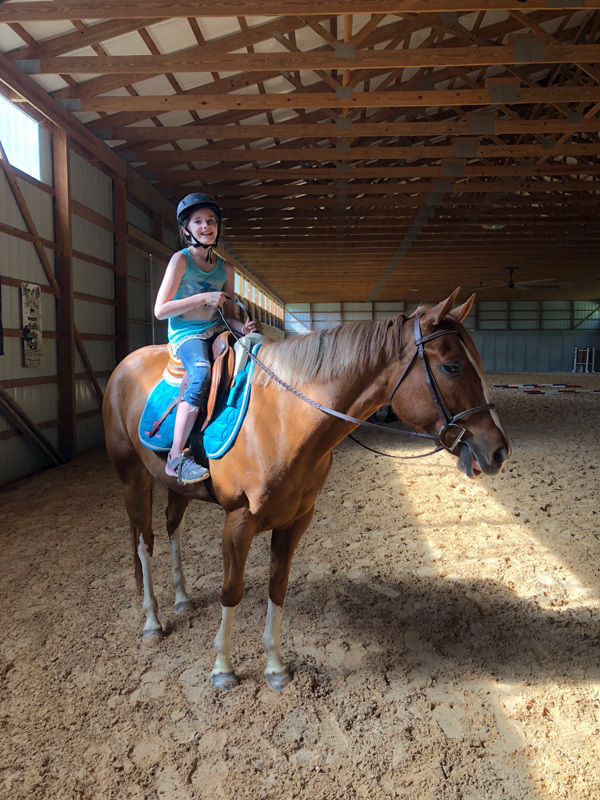 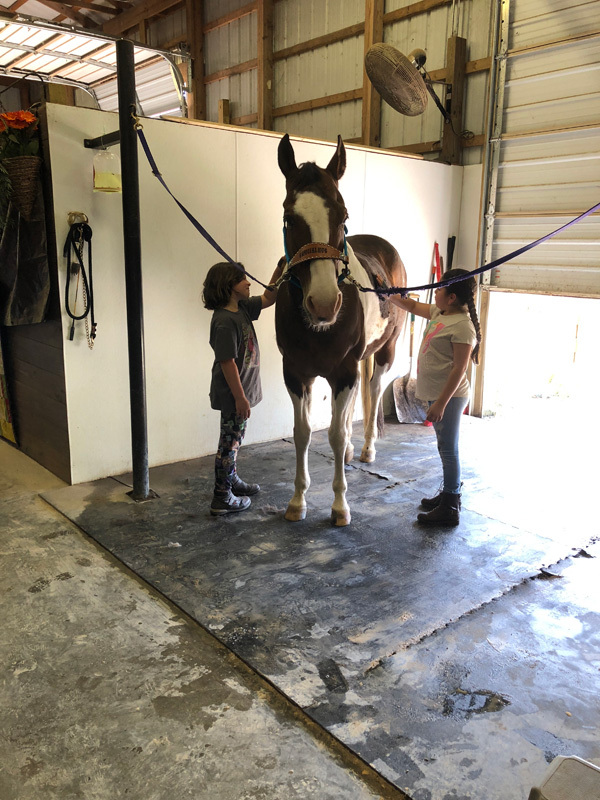 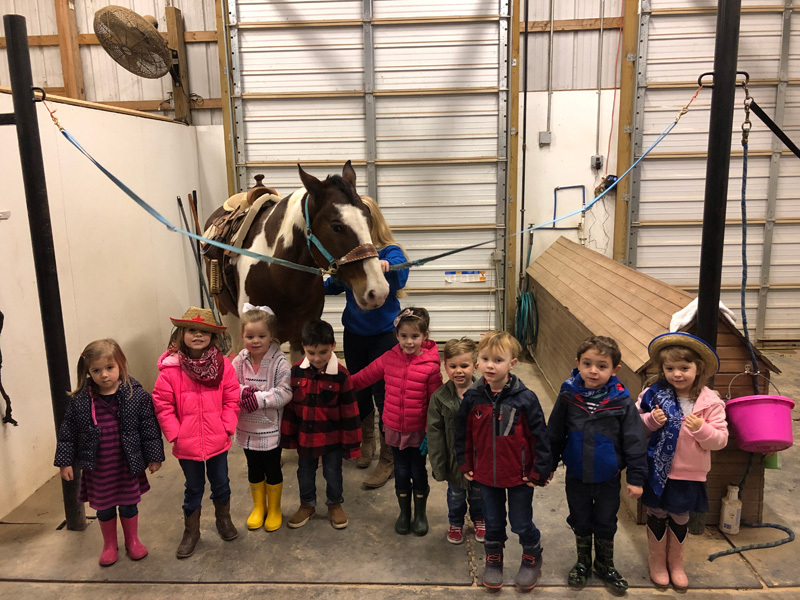 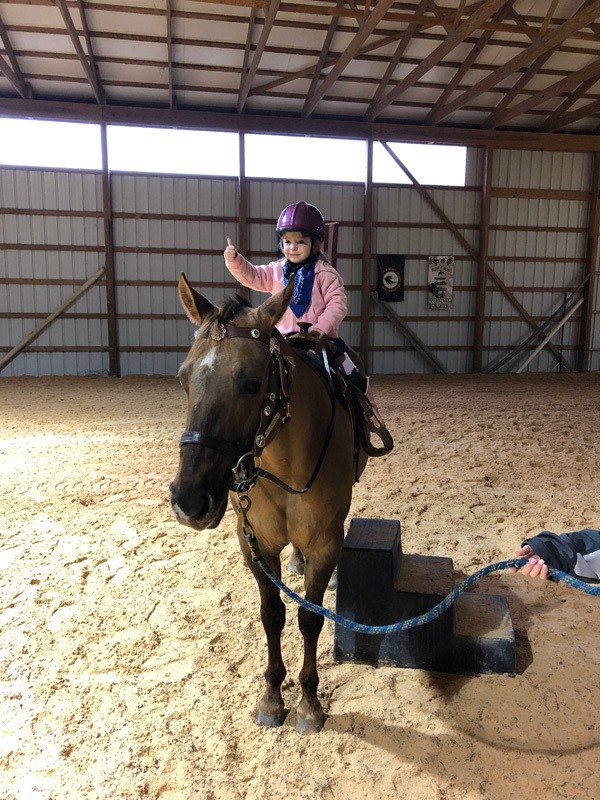 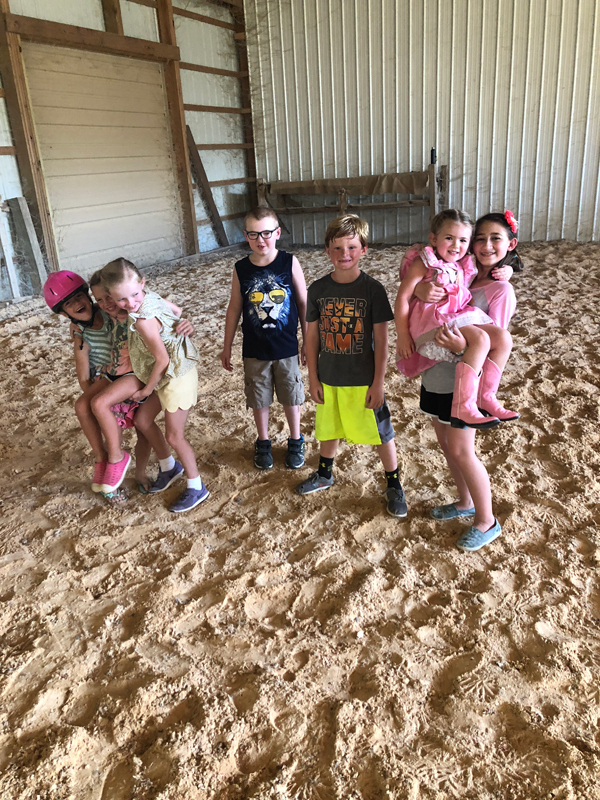 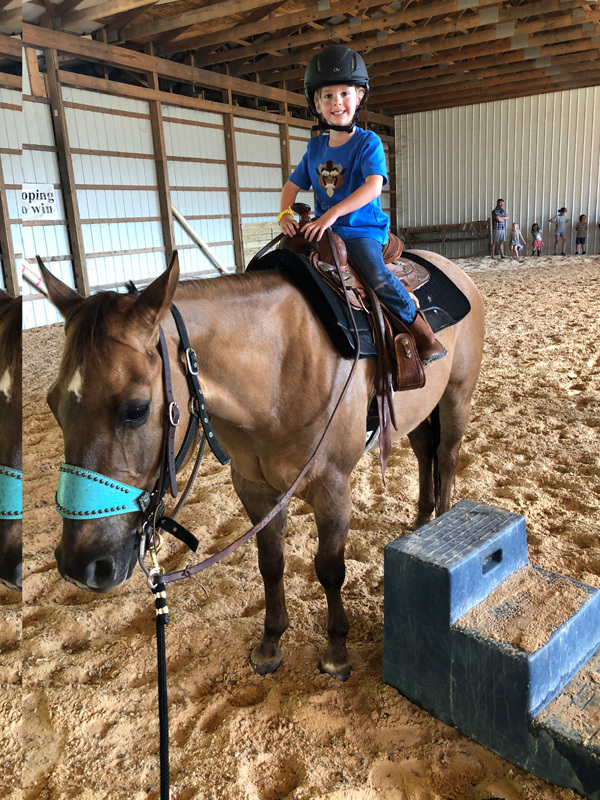 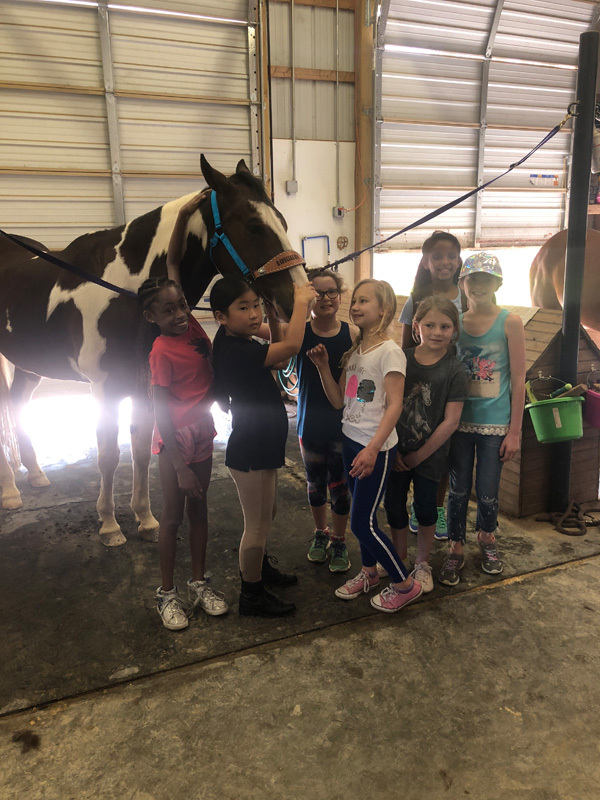 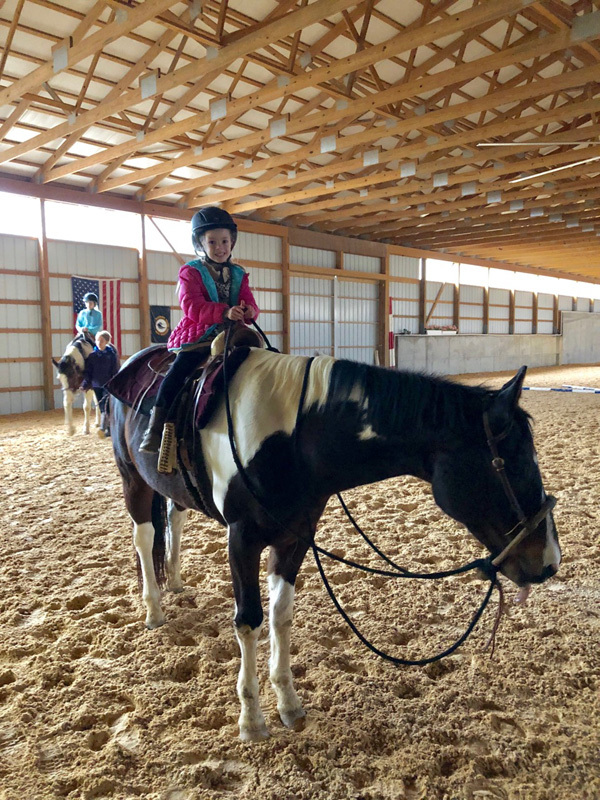 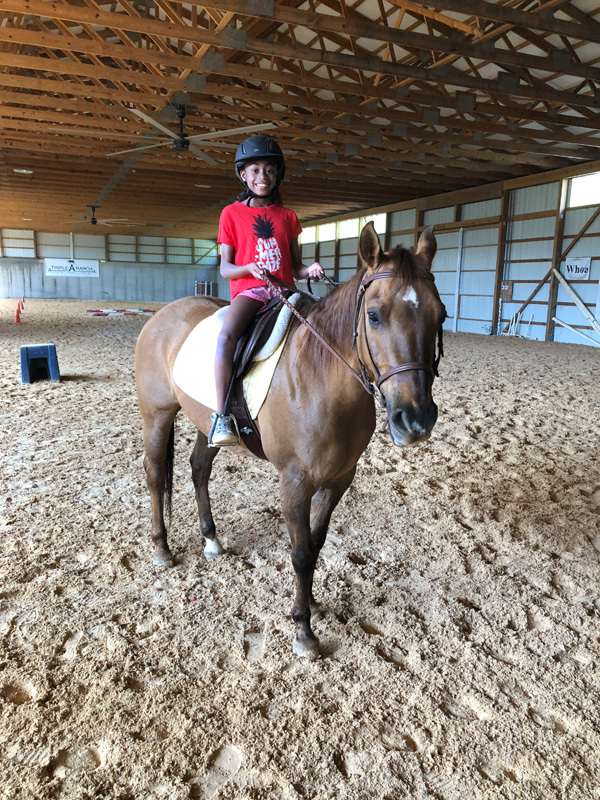 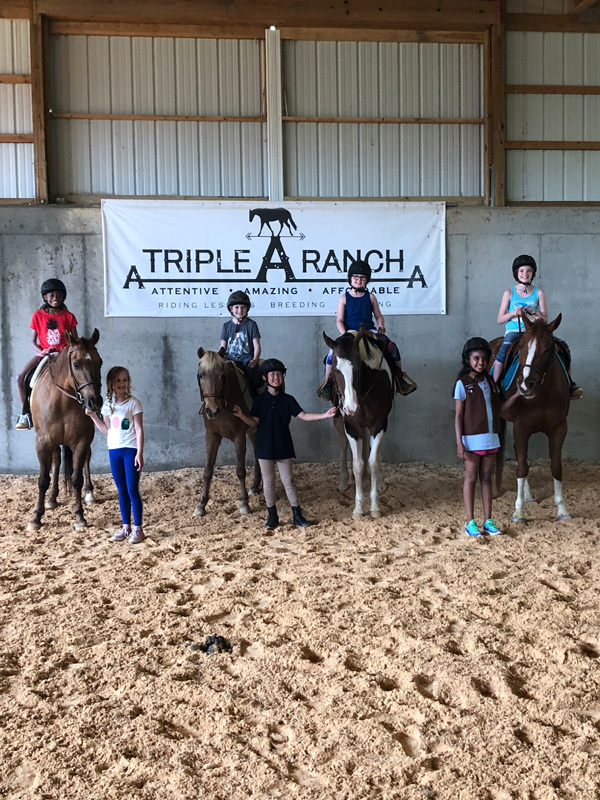 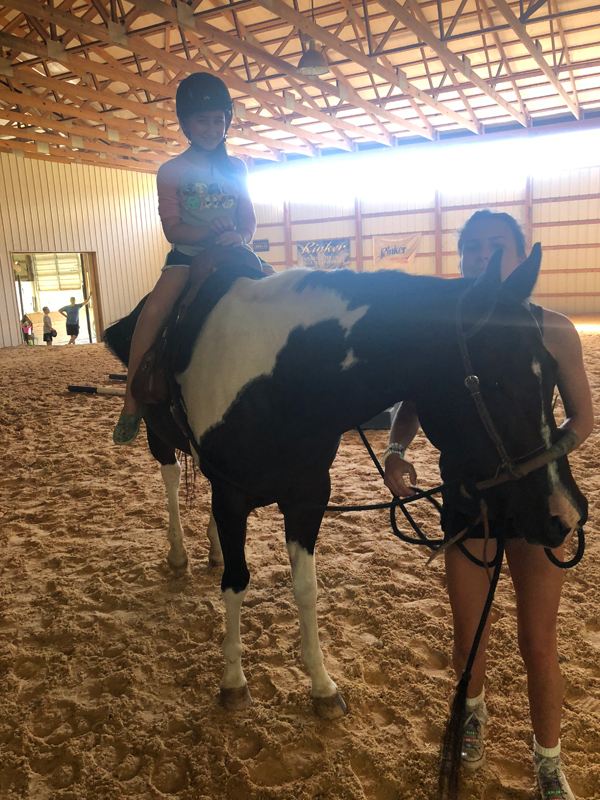 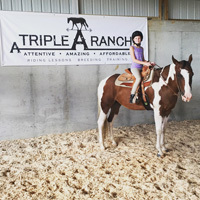 9 super fun kids all had a great time with horse grooming and rides. 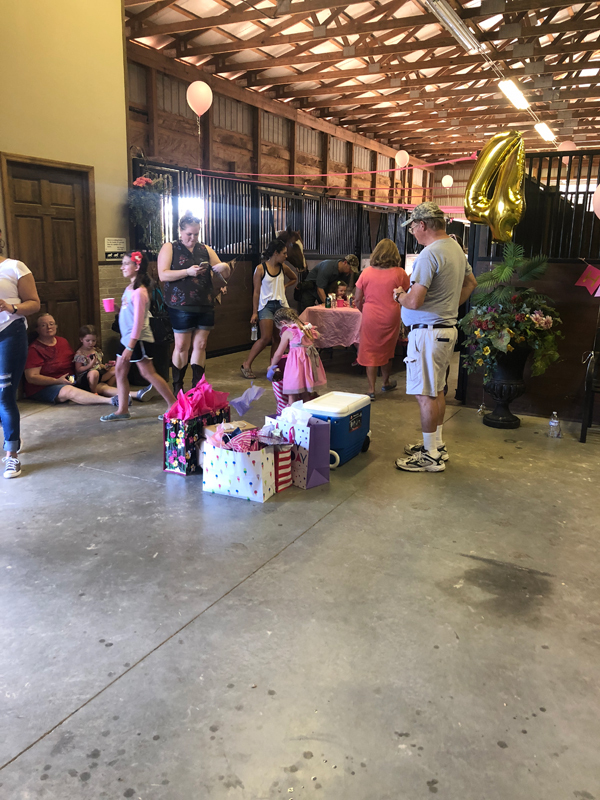 There were presents, delicious cupcakes, snacks, gift bags and games in the arena. 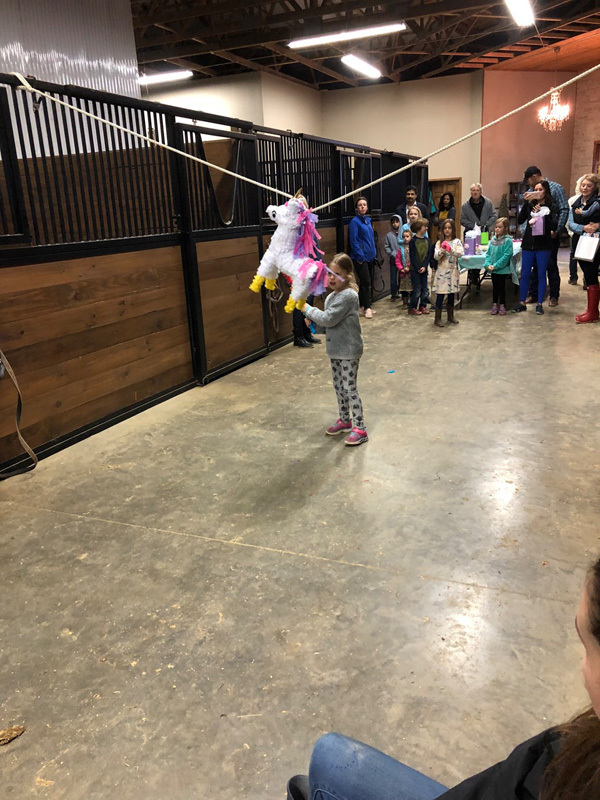 We colored pictures and had a pinata too! 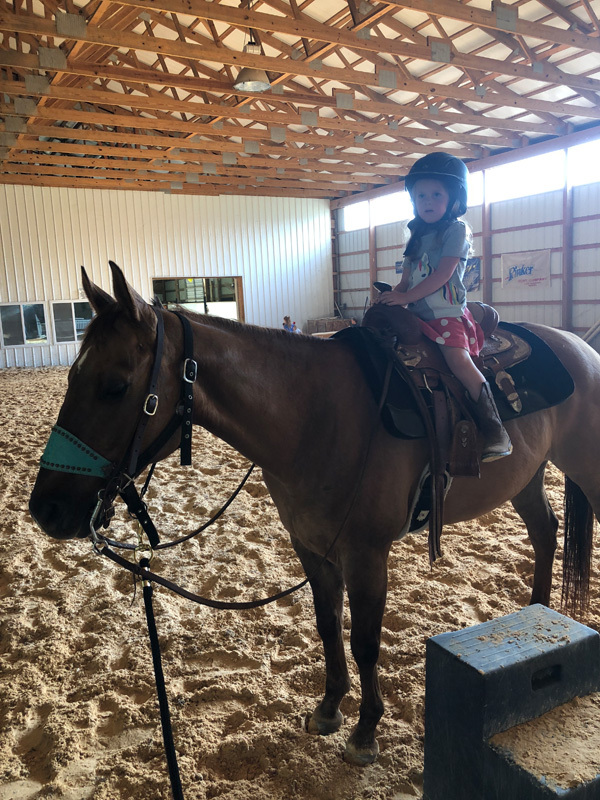 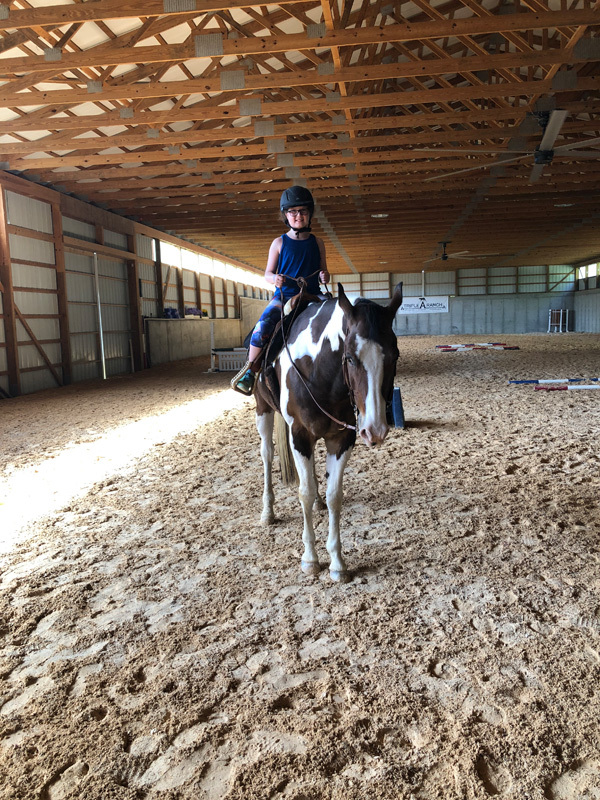 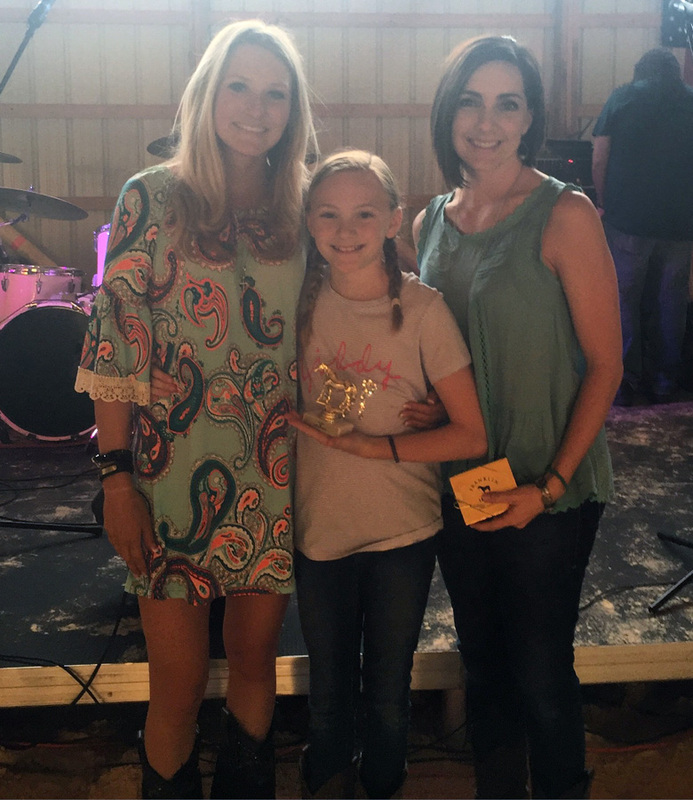 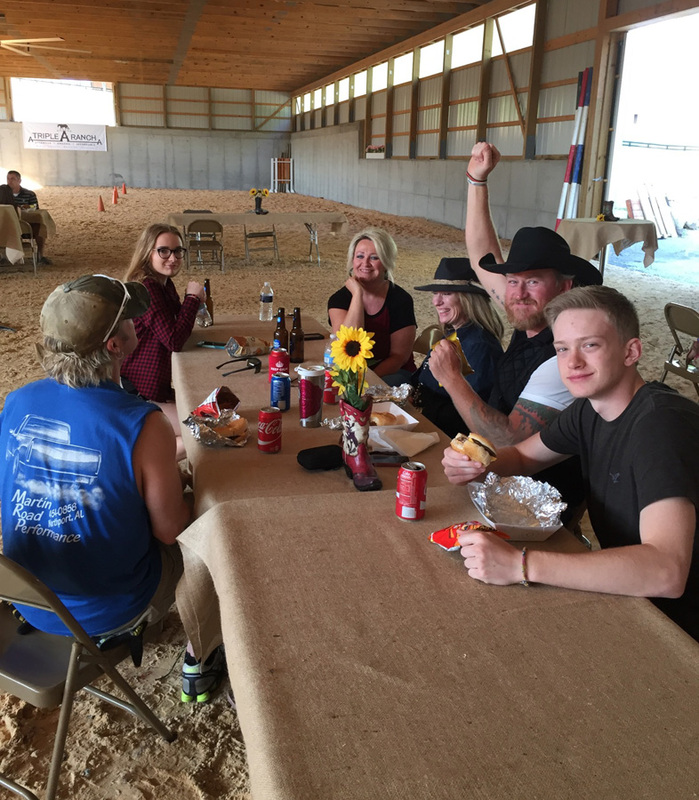 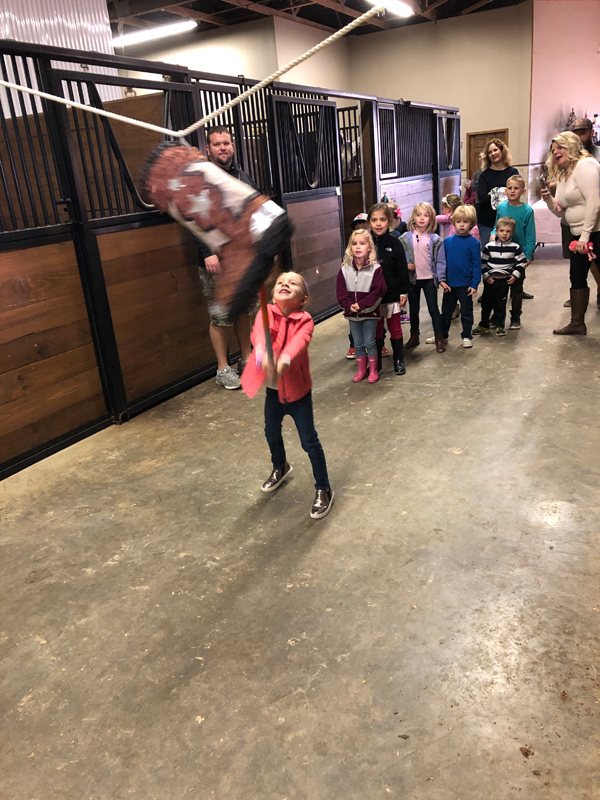 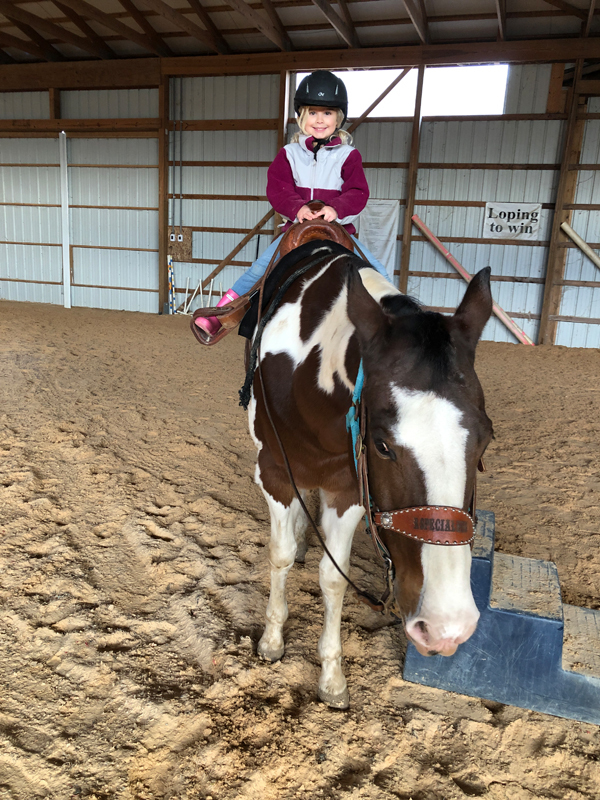 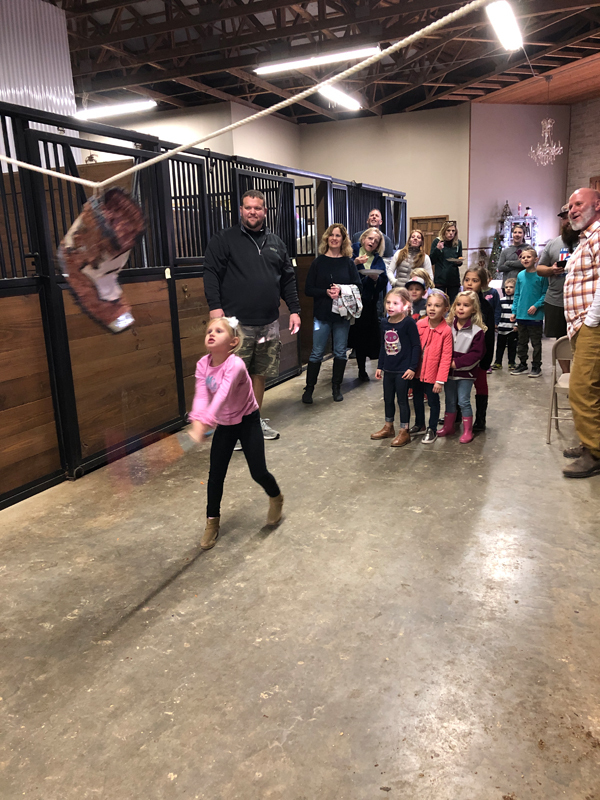 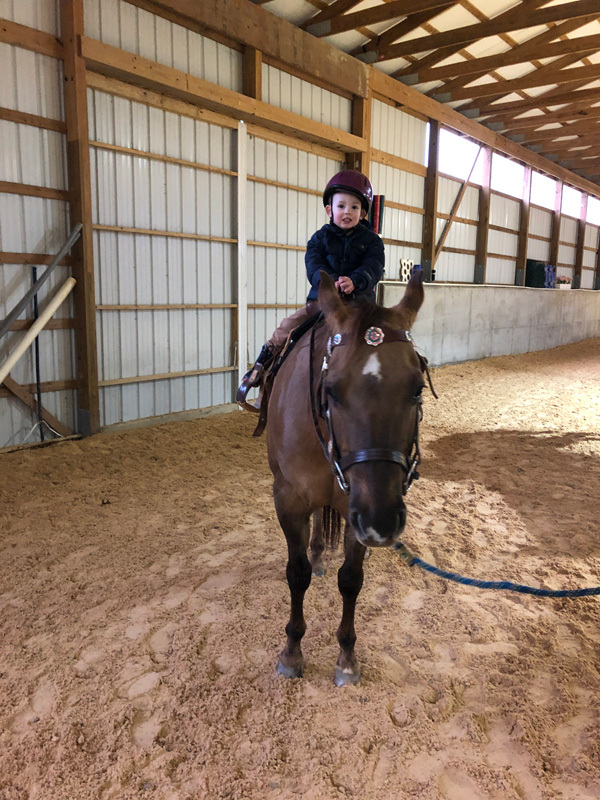 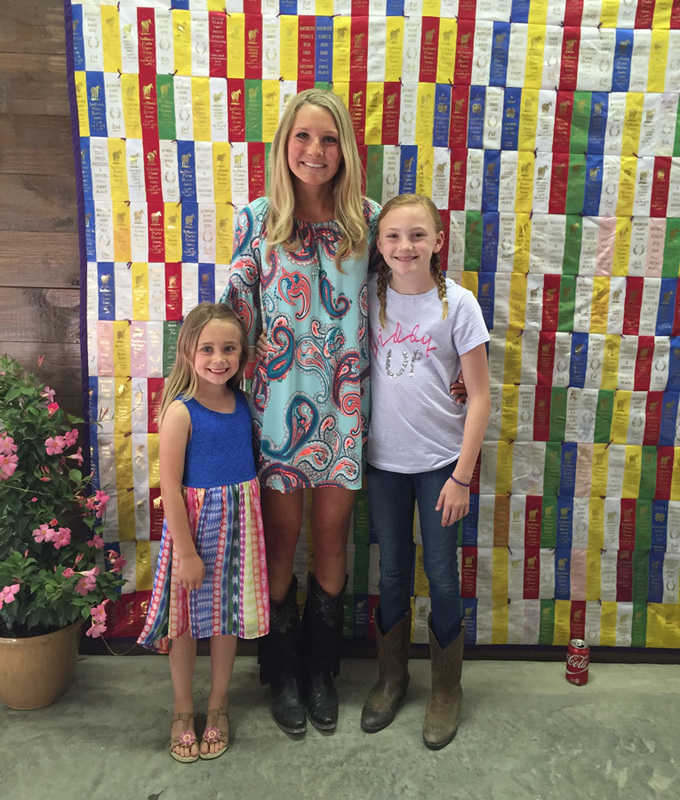 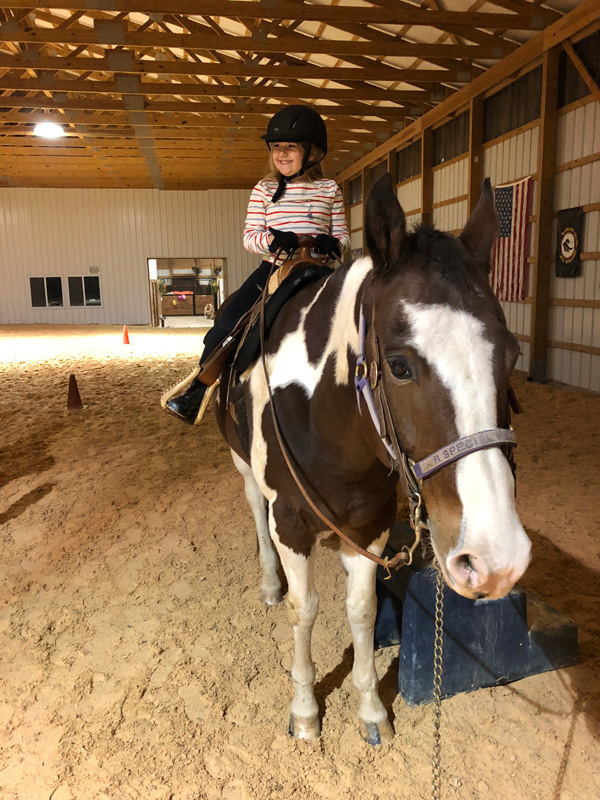 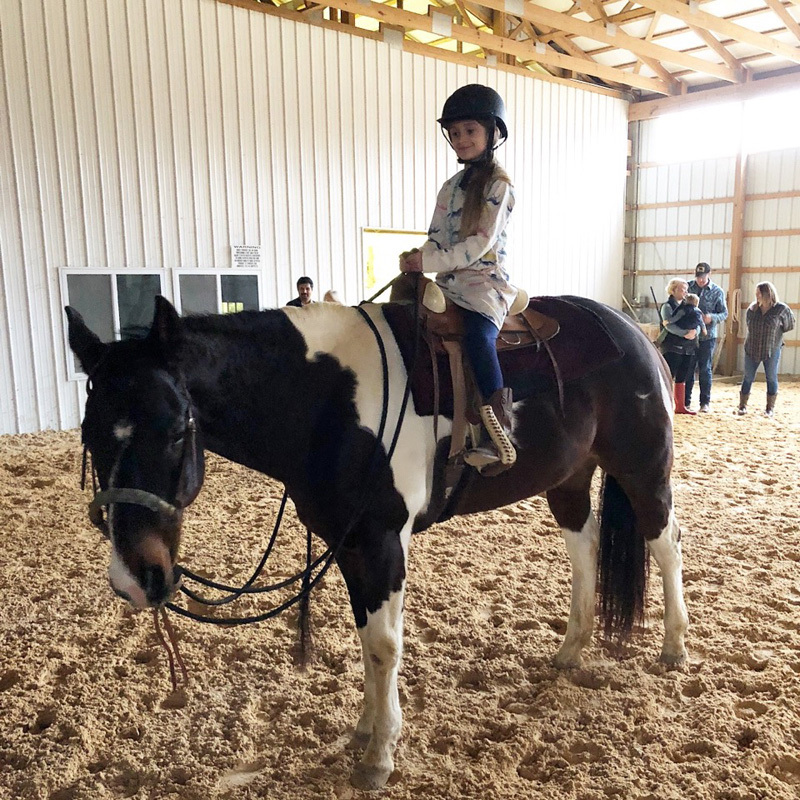 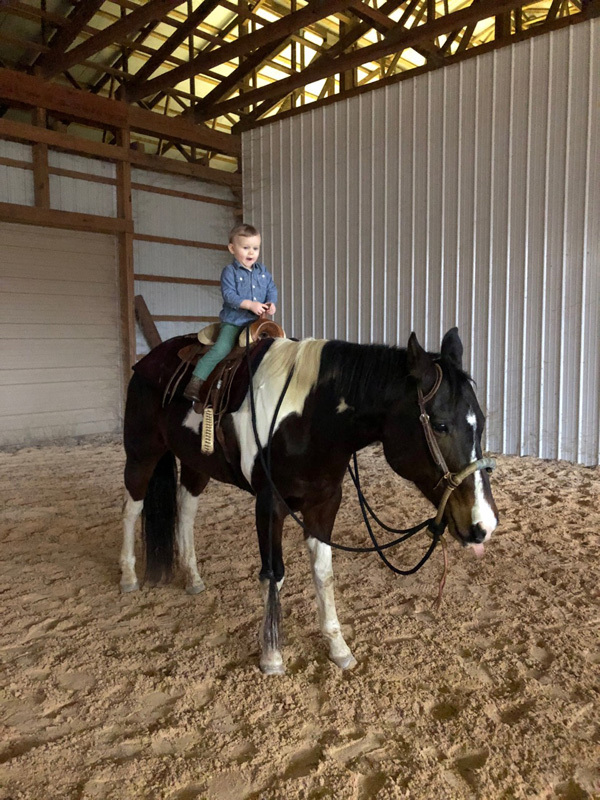 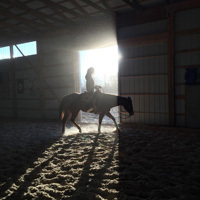 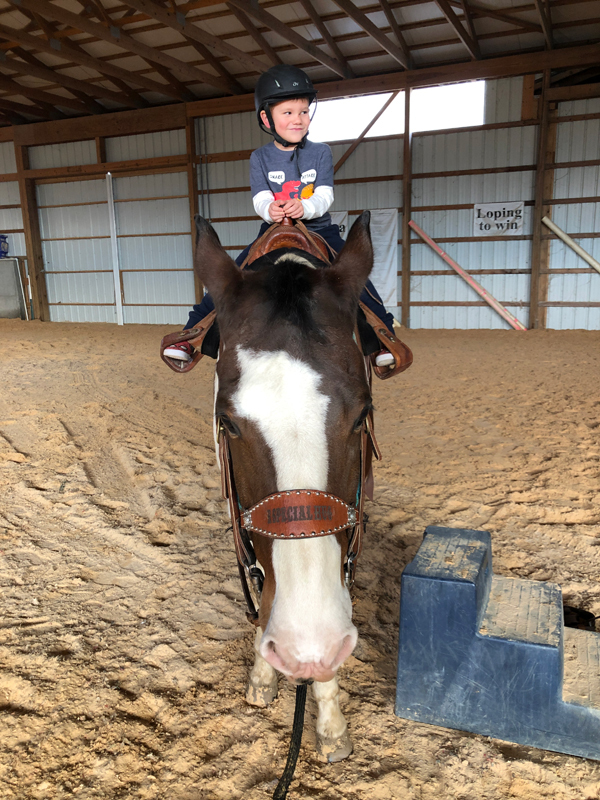 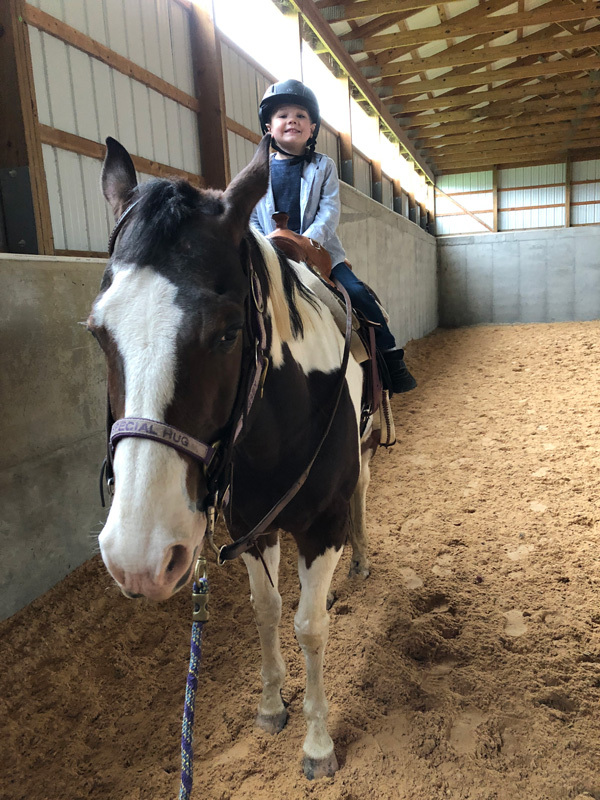 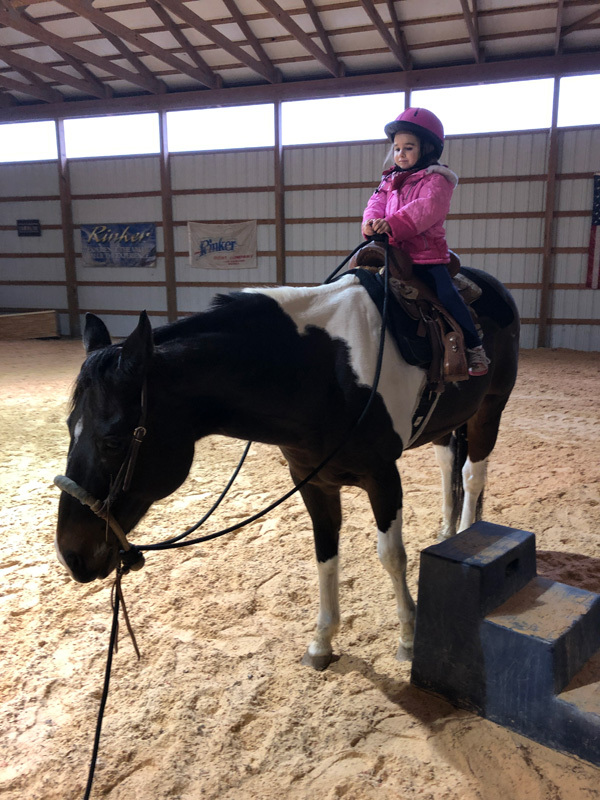 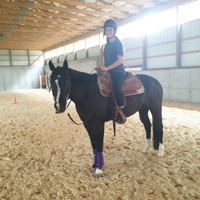 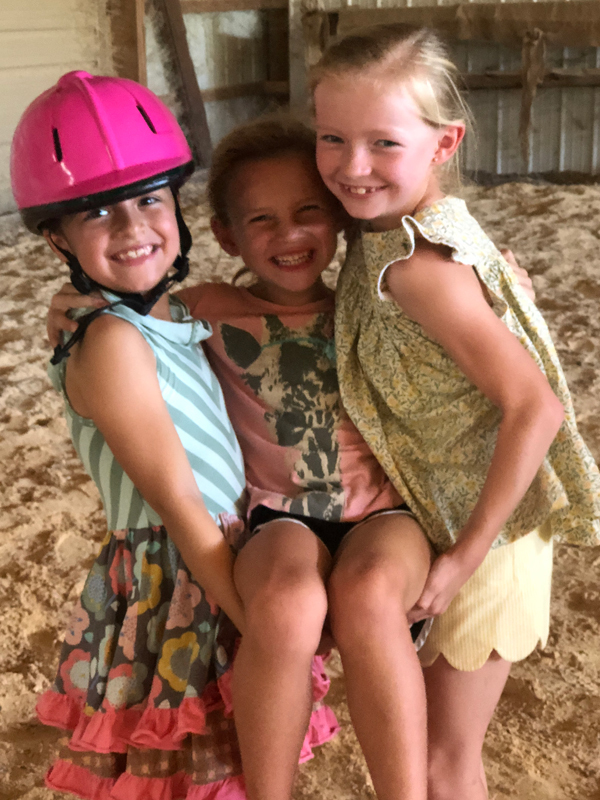 Riding horses, games in the arena, arts and crafts, and great food! 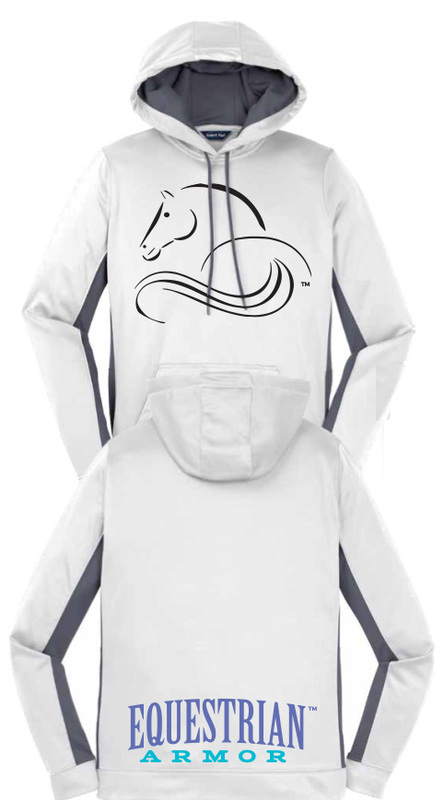 Offering woman, men, and youth clothing. 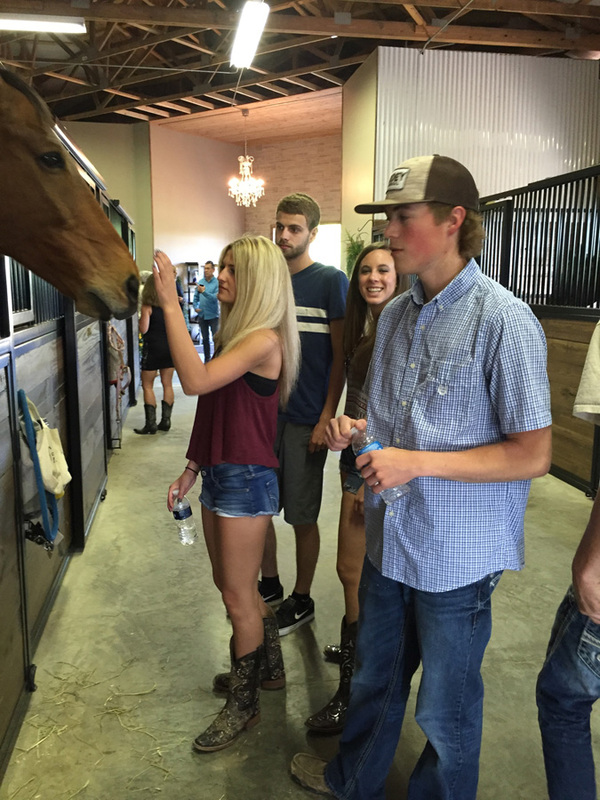 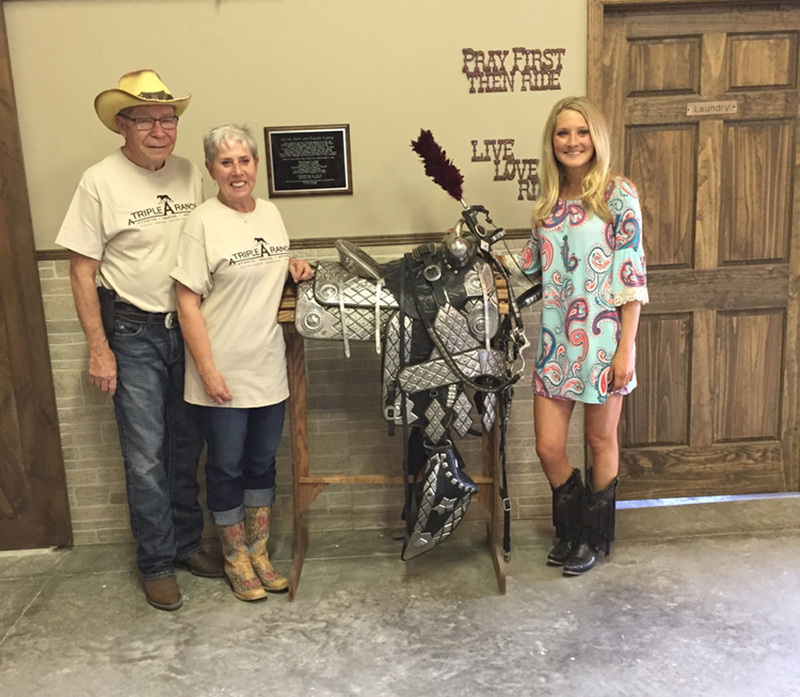 Guests enjoyed a cook out, got to meet all the horses, and a great musical performance by John Stone. 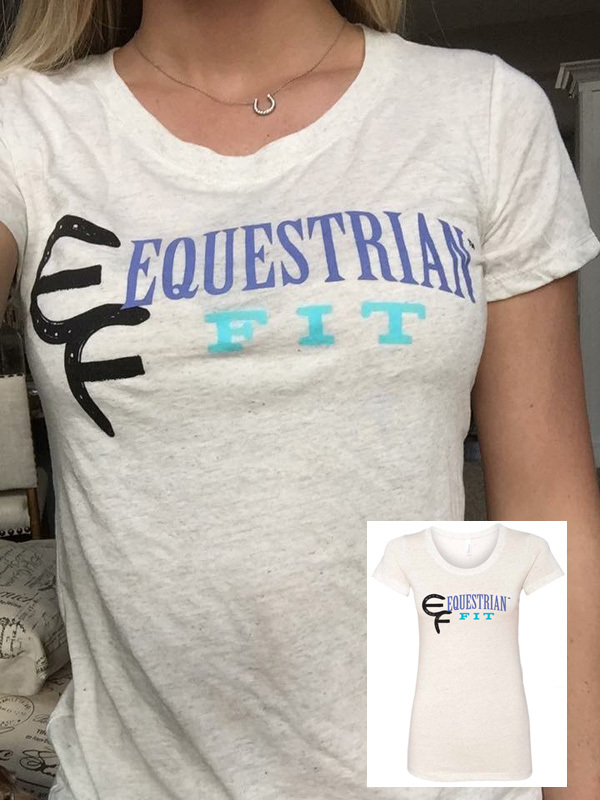 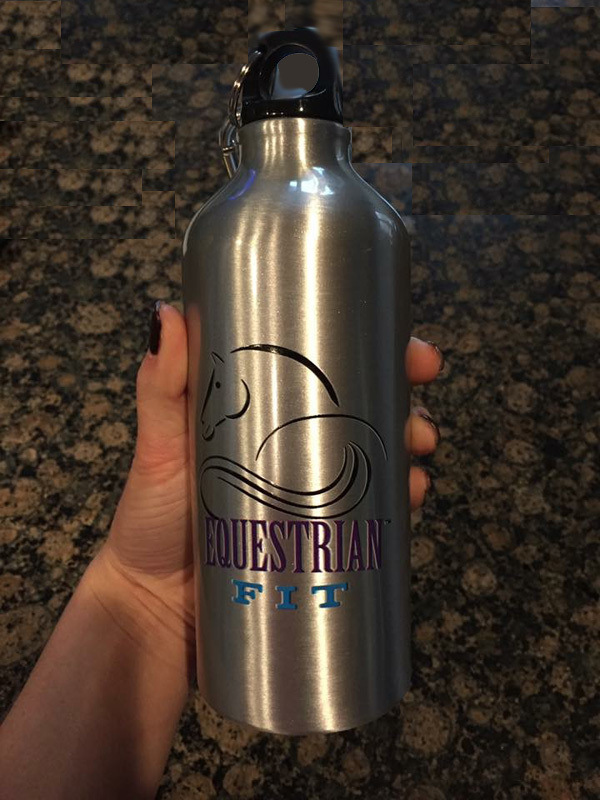 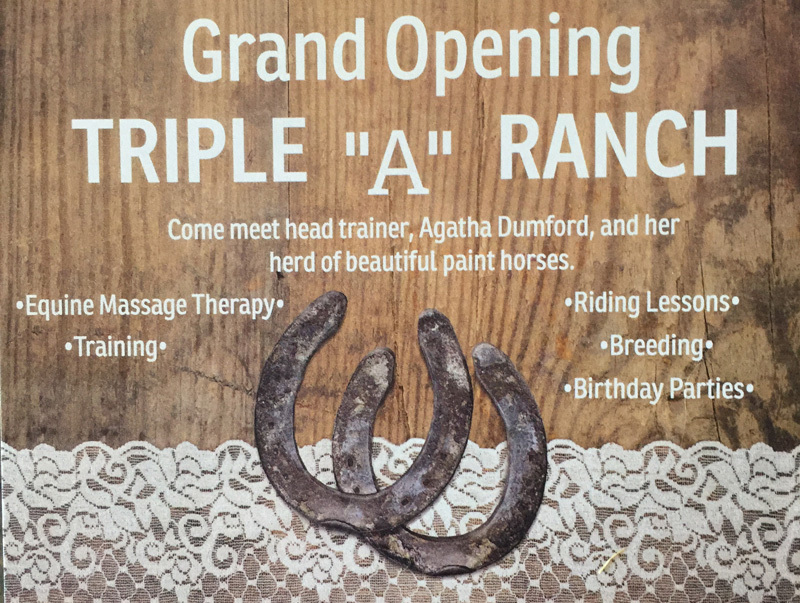 All proceeds are going to Angel Heart Farm, an Equine assisted therapy for chronically ill children.